At Unique Dreams LLC, we wanted to take this opportunity to introduce you to our services. 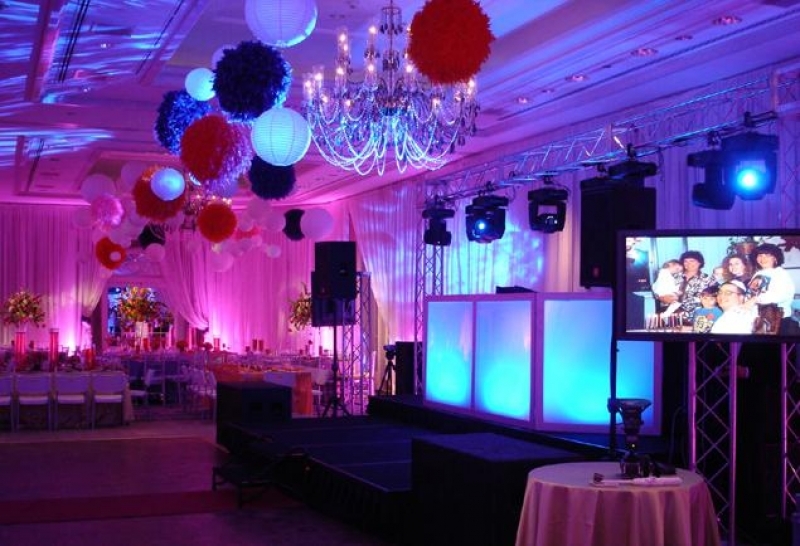 We are celebrating over 15 years of entertainment experience, and our proud to be one of Maryland’s most requested entertainment companies. 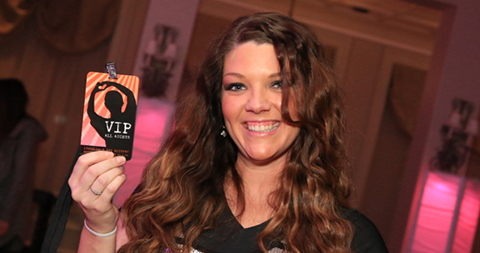 As a referral based company, we pride ourselves on the dedication, and excitement we bring to all events. 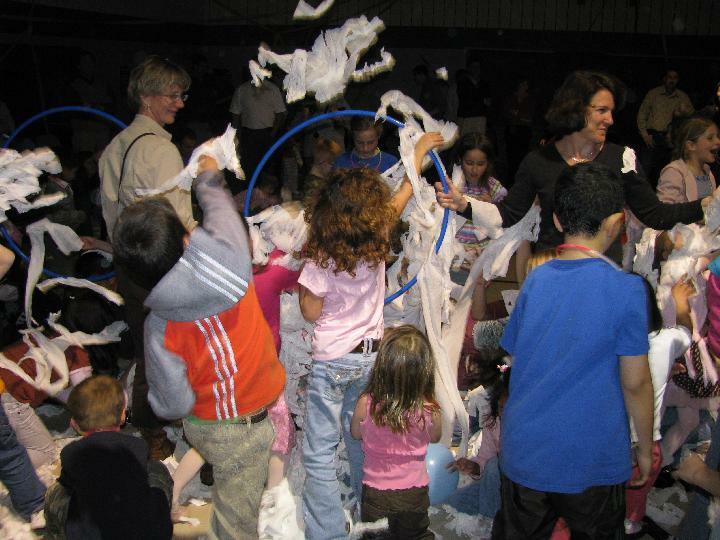 We officially started our company back in 1998, as a kids party company, mainly working within Summer Camps and the school systems. 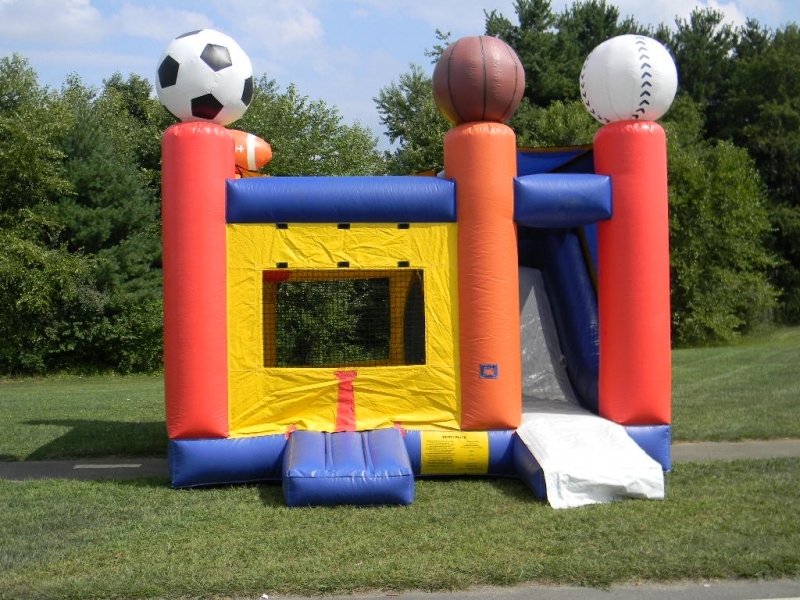 Consistently emphasizing a strong focus on kids, family style parties, and appropriateness, we have grown into one of the premiere entertainment companies in the DMV. 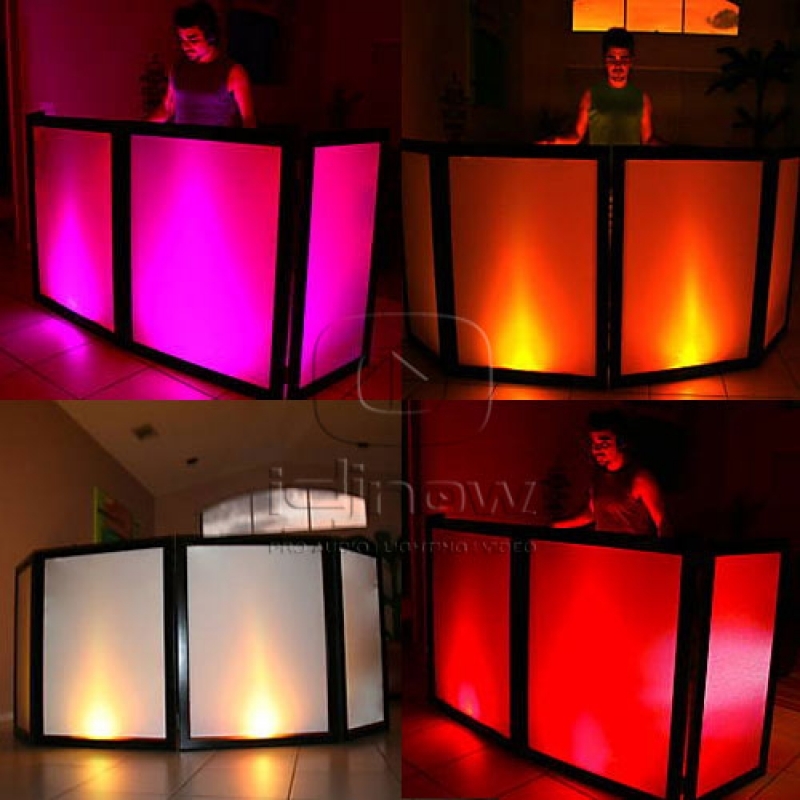 Every Deejay and Dancer is different and creative in his or her own way of hosting a party. 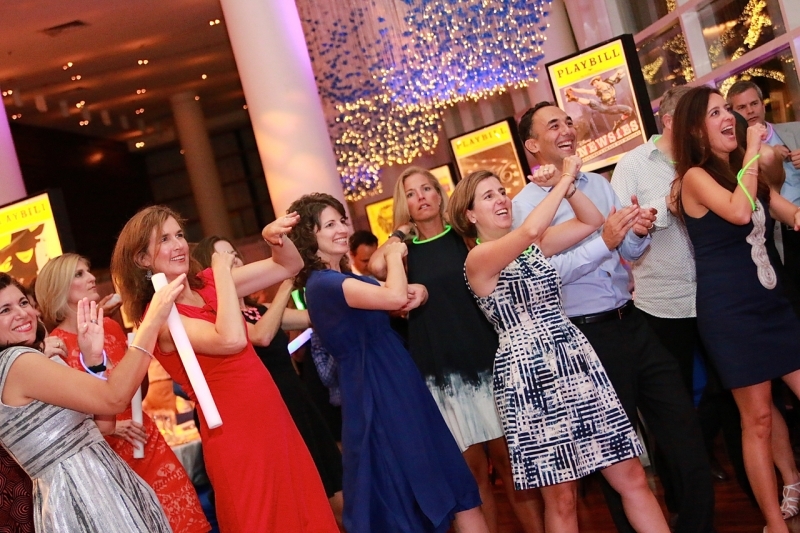 We all have our own distinct methods and all bring something different to each event we host. 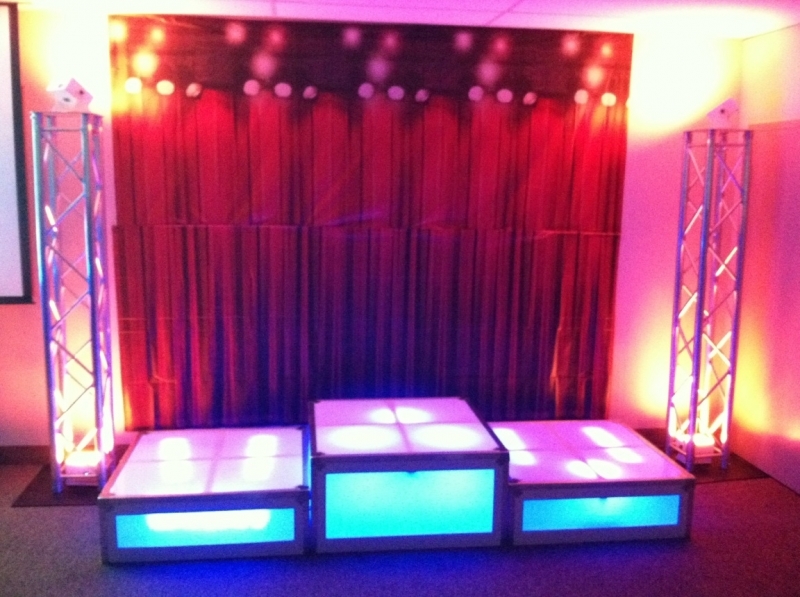 Please take the time to get to know our team, and see which entertainer/s would best suit your specific party needs. 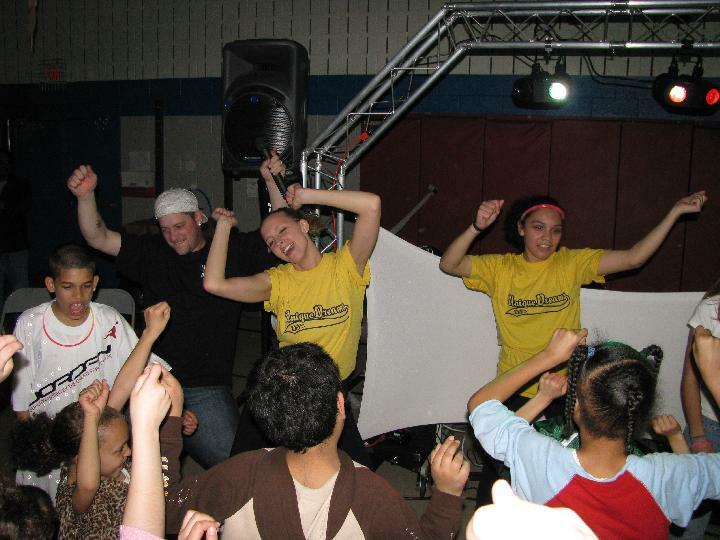 For over 18 years, Chris (aka DJ Kidd) has utilized his unique ability to motivate and excite every event he has performed. Chris posseses a rare gift that has enabled him to read a crowd and deliver an excitement unlike any other. 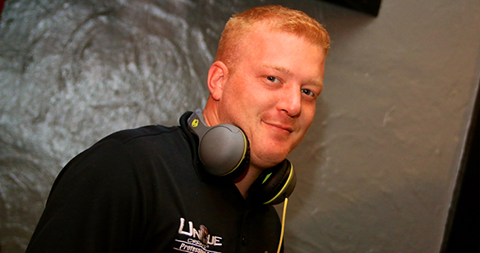 As founder of UniqueDreams DJs, Chris brings not only his exceptional entertainment skills, but also brings professional manner & courtesy that assures you that there really isn't any other choice than UniqueDreams DJs. 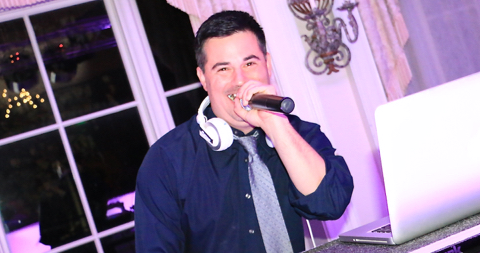 Brian is one of our most requested, and most experienced DJs. 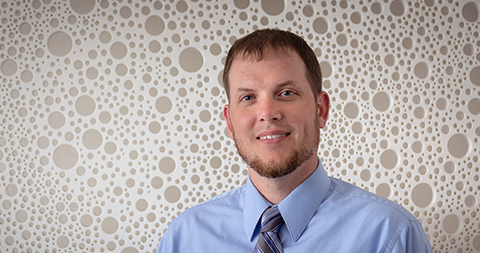 He joined our team in 2002, and his energy, experience and passion for bringing a party to life has quickly made him one of our most requested MCs. Brian is available for all events. According to Brian, my favorite event is: Well, all of them. 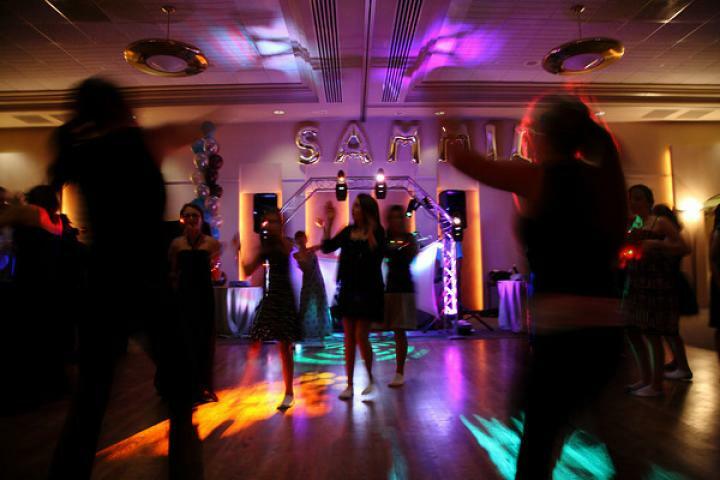 I love the chance to bring a party to life, especially Bar / Bat Mitzvahs, and Weddings. I also love kids parties, running camps for kids prior to becoming one of the area's Hottest DJs, gave Brian a lot of insight on kids. 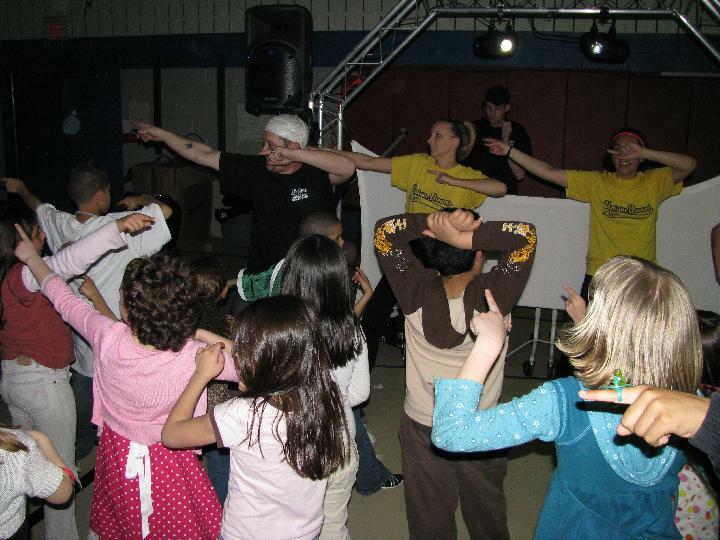 Thus, making him also one of our most popular DJs at kids events. Brian would be a fantastic choice for any event. Our DJ Edwin is available for any and all events. 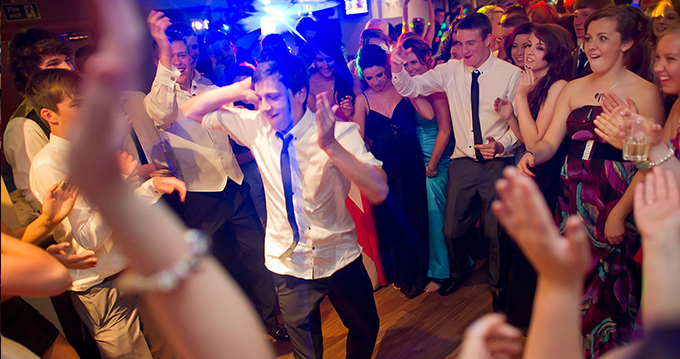 The Pure Excitement he brings to a dance floor will truly take your party to another level. From the moment he walks in the door, you can feel the vibe of energy flowing off him. 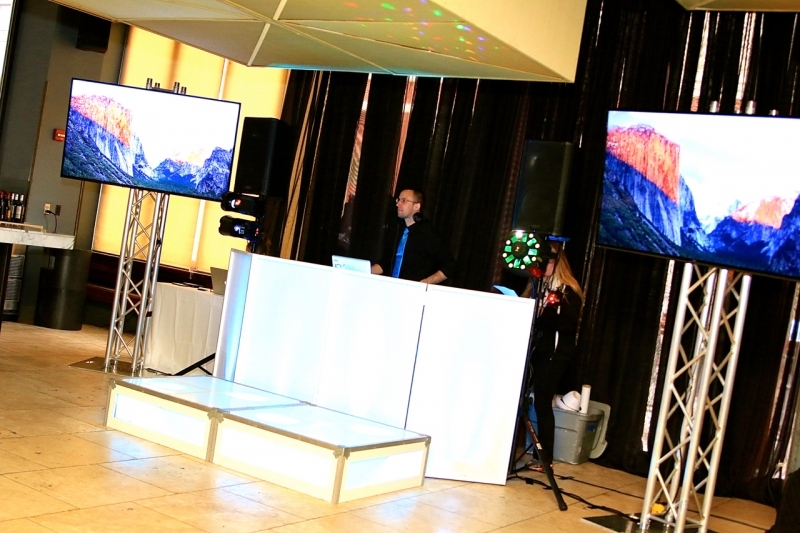 You and your guests will have a fantastic event, and the dance floor will be rocking all night long with our DJ Edwin. 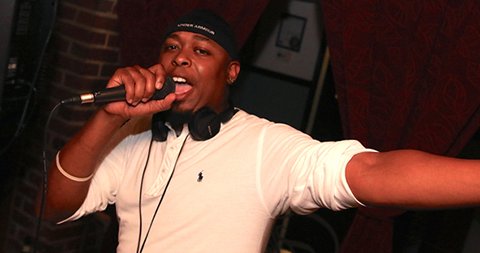 MC justin aka "DJ Esquire (Esq)"
MC Justin is one of our most sought after entertainers. 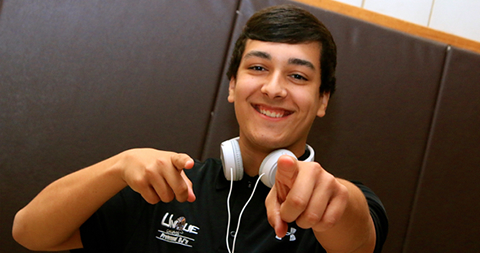 He brings an unrivaled amount of energy and excitement to every event he is a part of. His background in working with kids, truly shows through events.Kids and adults love him, and would be a great addition to any and all events. His true passion and where he is most requested is Bar and Bat Mitzvahs. However, he is available for all styles of events. 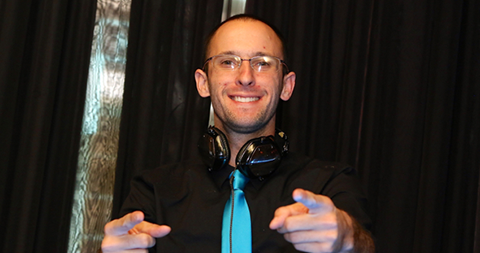 Blake has been with Unique Dreams for almost 10 years, his knowledge of music and ability to DJ or MC your event make him one of our most versatile and most requested entertainers. 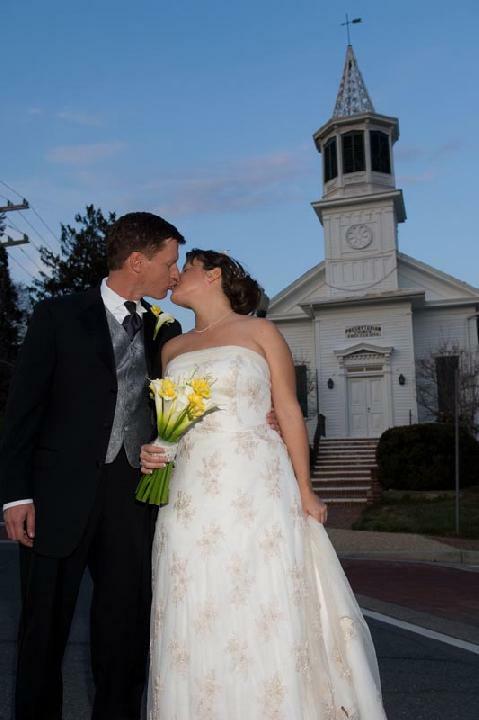 Blake's experience and extreme motivation enables him to adjust to any event and cater to your specific needs. 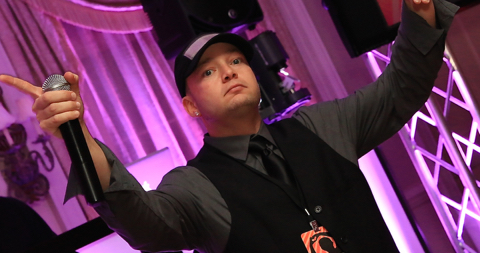 Blake provides constant energy to a party, and is able to work with you directly throughout your planning as well as at your event providing you the best overall experience. DJ 337 is one of most decorated talents. A master of the turntable, and sure to bring any crowd to its feet. 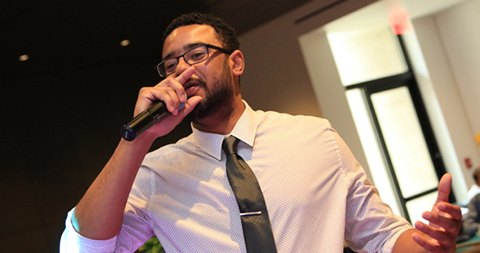 Also known as Lee, DJ 337 is available for all events, as has also mastered the technique of orchestrating events, as your Master of Ceremonies, or MC. 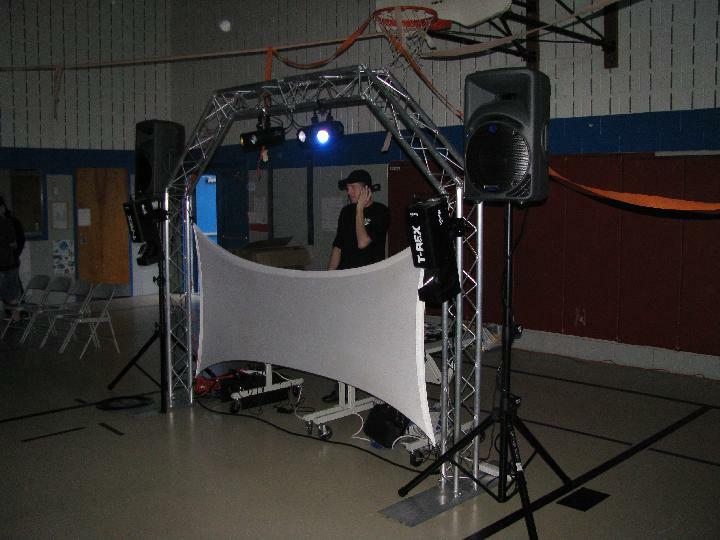 DJ 337 would be a perfect addition to any party, and specializes in Weddings, and Mitzvahs. 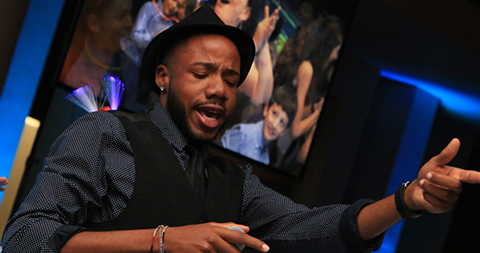 His array of music knowledge and outgoing personality will surely spice up any event. 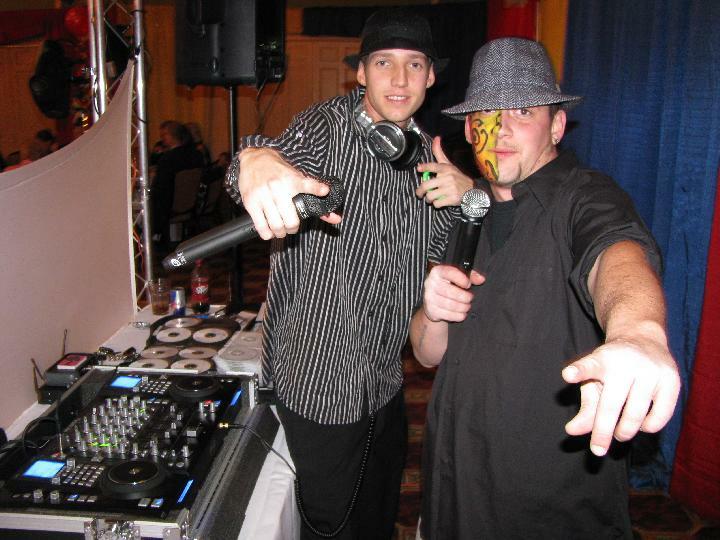 MC Swift with Unique Dreams DJs is one of our more talented DJs as well. 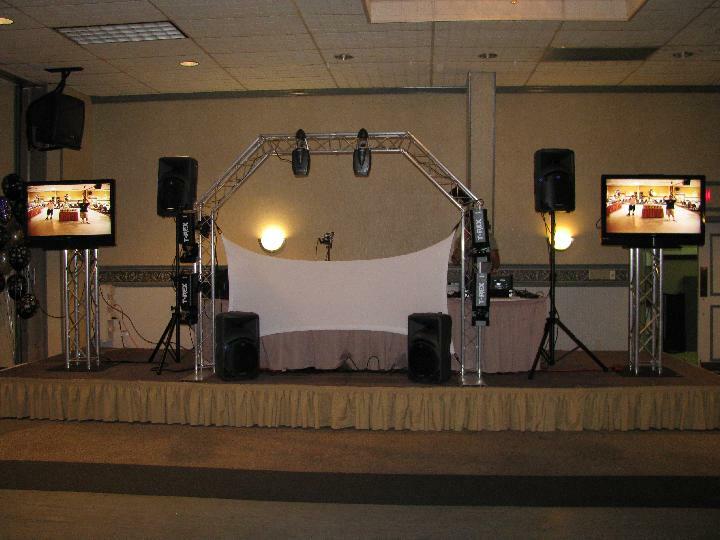 Swift has mastered all types of events and is currently available for all parties. Swift is outgoing, fun and lively. He possesses a natural outgoing personality, and a talent for the entertainment world. His ability to read a crowd and get the most out of your party is one of many reasons he would make a great choice for your next event. MC Matt- MC Matt is one of our most talented, and experienced MCs. His uncanny ability to read a crowd and really create a fantastic experience is one of a kind. 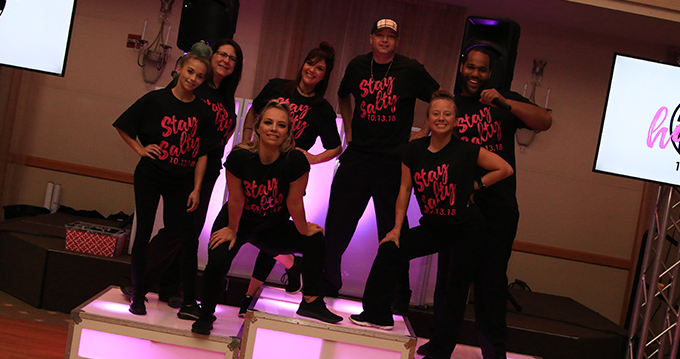 With over 15 years of experience, the flow, and seamless timing on the dance floor will create a Unique and amazing event. Matt is a great choice for Weddings, Mitzvahs, or really any and every event. 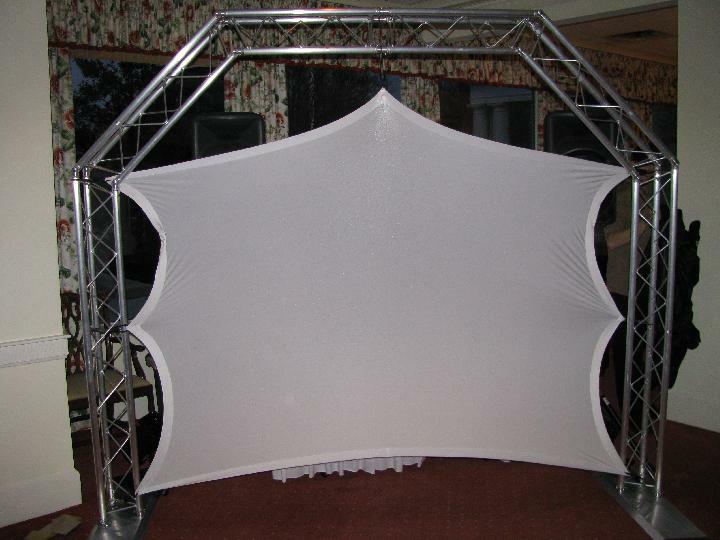 Matt can really add that special touch, that will make your event, truly spectacular. Melvin is one of our original Deejays, mastering kids parties and game days. Melvin understands the importance of appropriate music for children as well as the games they love to play. 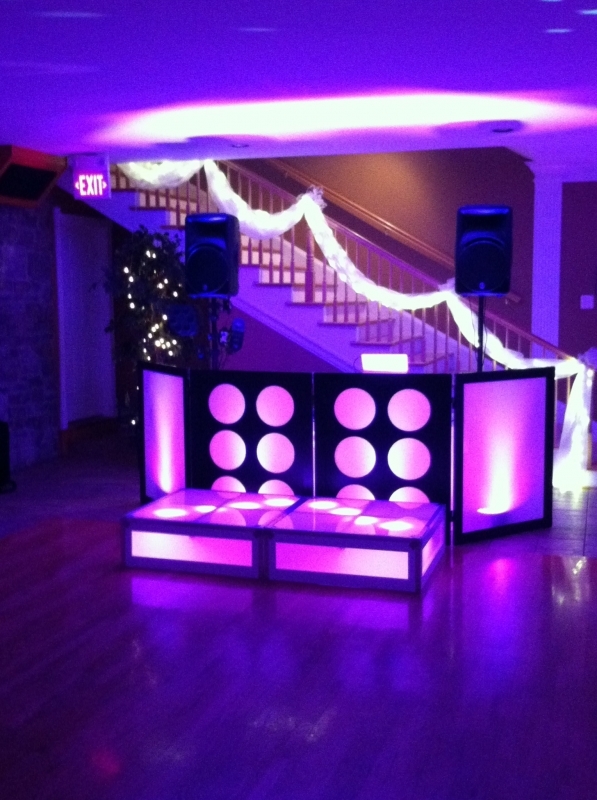 Melvin is fun and energetic and sure to make your party a great success. If music is not your style he will host games and contests for the children, that they are sure to love. 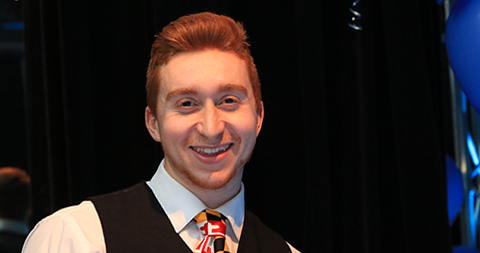 MC Chaz is one of our youngest, but most talented performers. He is available for all events. 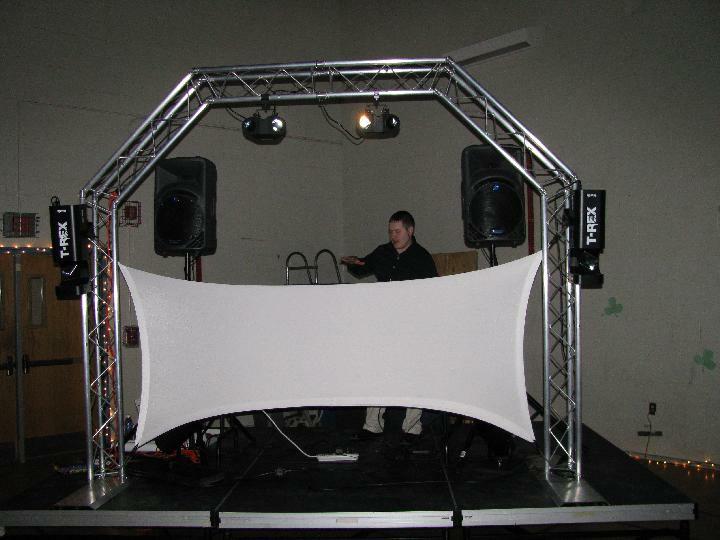 His specialty is kids, and kids style events including Bar/Bat Mitzvahs, private events, school parties, and kids of all ages. His passion for music, and bringing energy to any event is unmatched. Chaz is a great overall entertainer, and amazing with kids. 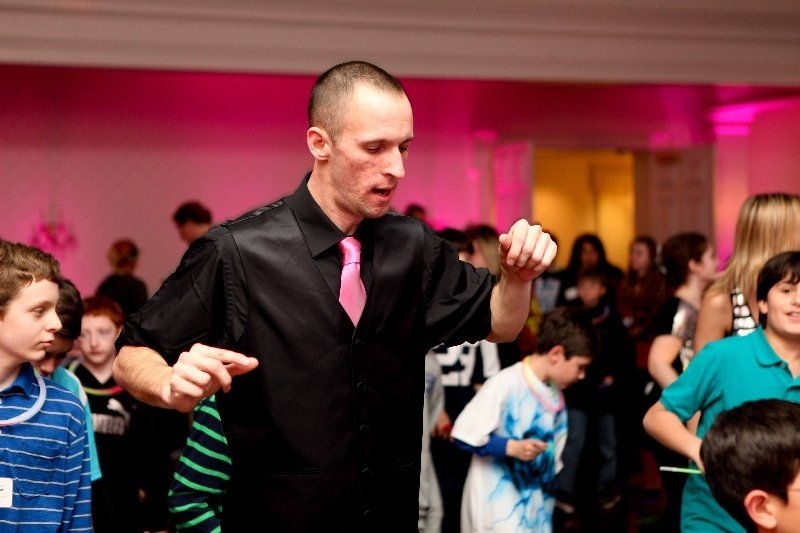 He can bring life to your event, with games, contests, great music, and his funny sense of humor. 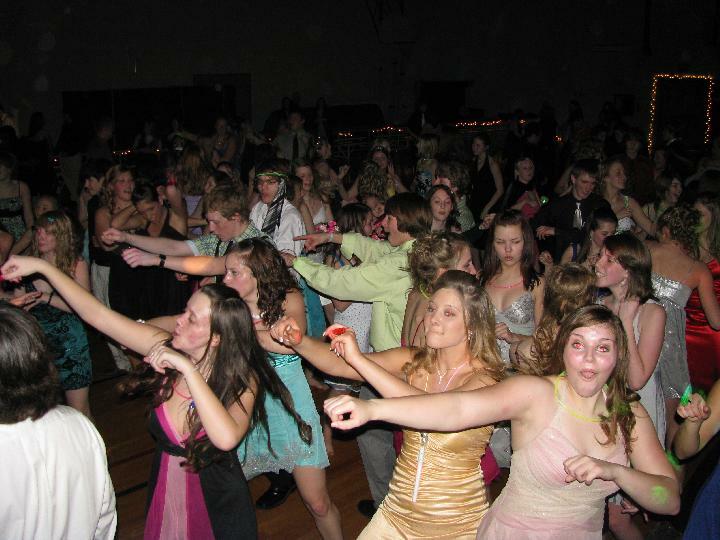 Swerve is a great choice for any party. 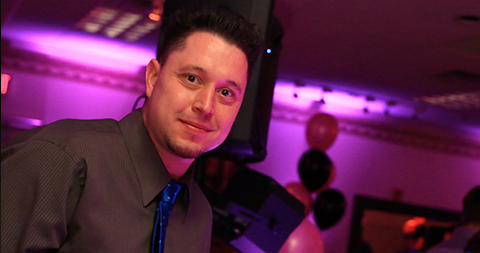 DJ Mark is one of our most requested entertainers. 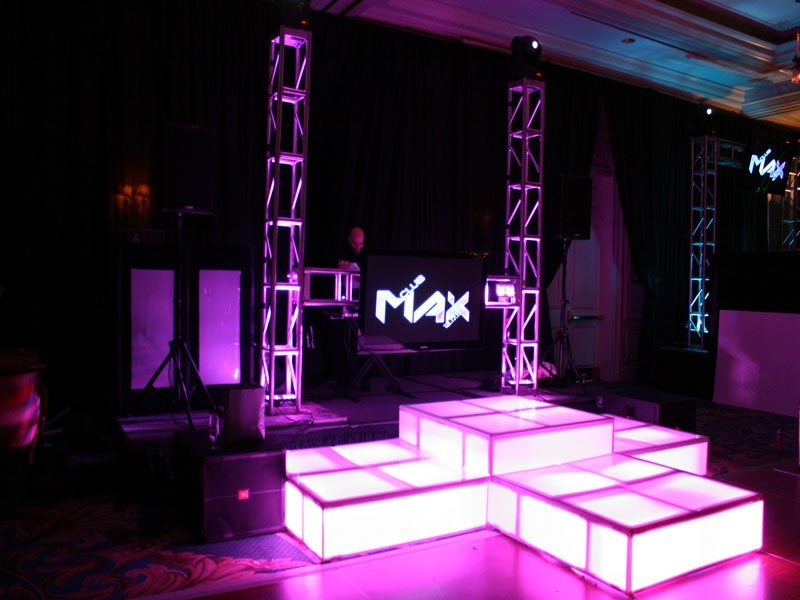 Mark has a flare for parties, and can really transform an event. His personality, and constant smile really give a lift to any party. Kids tend to flock to him, due to his charisma and swag on the dance floor. He is a great addition to any event. 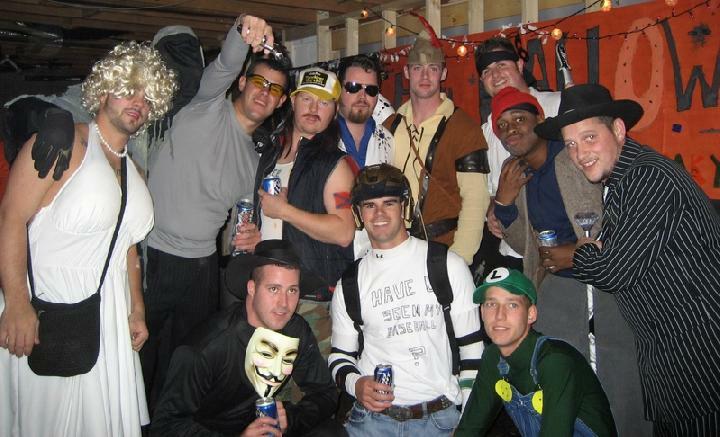 Low specializes in adult party events. He has extreme music knowledge in all types of music and would be a great addition to any event. Mikey, aka M&M would be a great choice for any event. M&M is great with kids and adults. 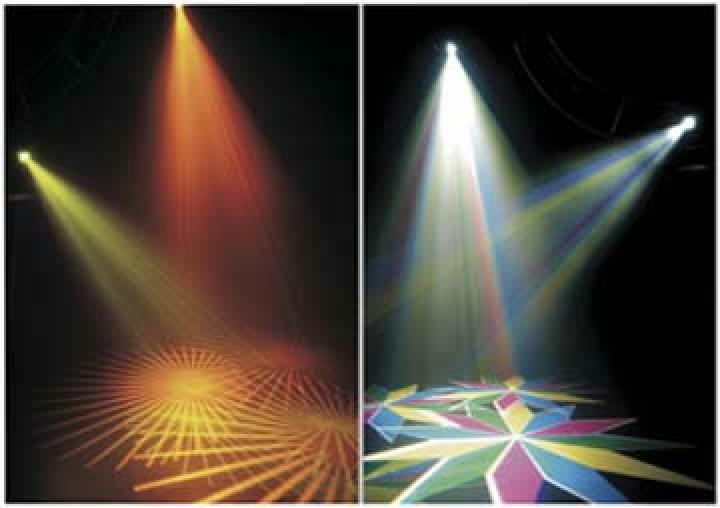 Very multi talented and can add a great flare to any event. 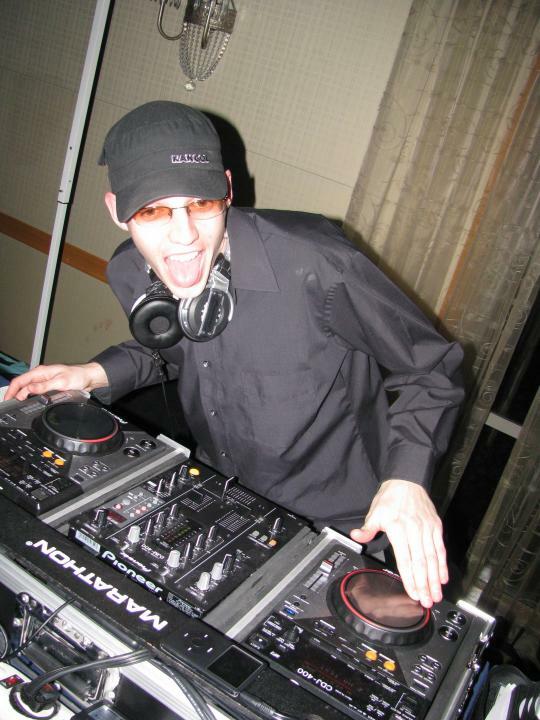 For over a decade Robbie has performed at all venues and is one of our most requested Disc Jockey's. 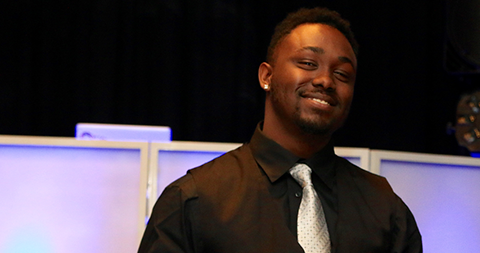 Robbie has been with Unique Dreams from the start, and is one of our high-energy performers. 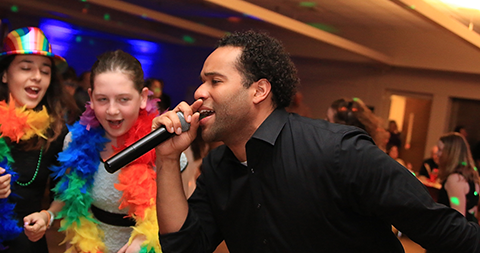 From Weddings to Kids parties Robbie has perfected his talents to perform on all levels. 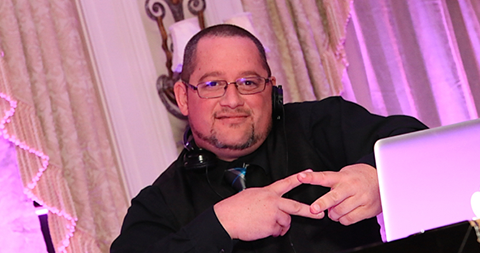 Robbie is not only a DJ, he is also one of our Assistant Managers, and a team lead in our event planning division, where he can assist to plan your event from start to finish. For all events if you want high energy, crowd participation, and an overall fun guy, Robbie is your man. 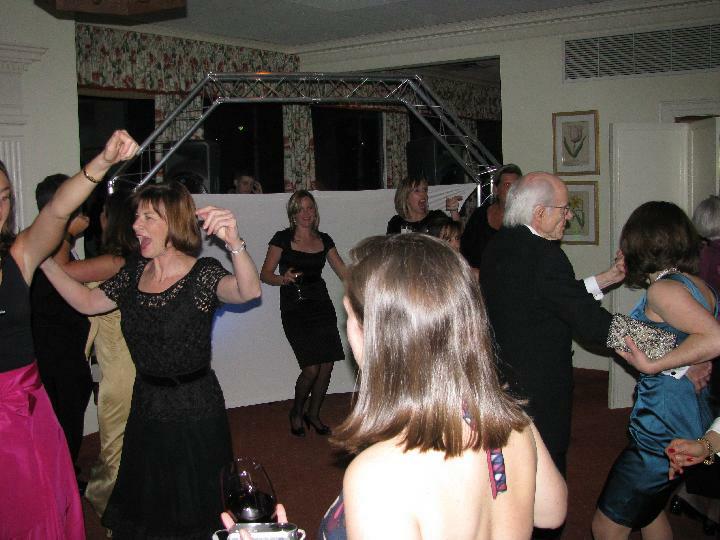 Want to add immediate attitude and pure excitement to your dance floor. Introducing K-WOW, She is one of our lead dancers and dance captain. She is fun, friendly, and energetic. Clients call her- Absolutely AMAZING. 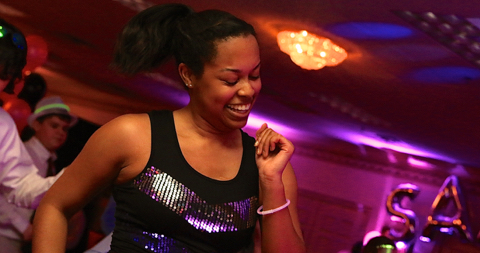 She works best with guests of all ages and is able to teach line dances and keep the party moving. Cara's resume is endless with an extensive dance career. 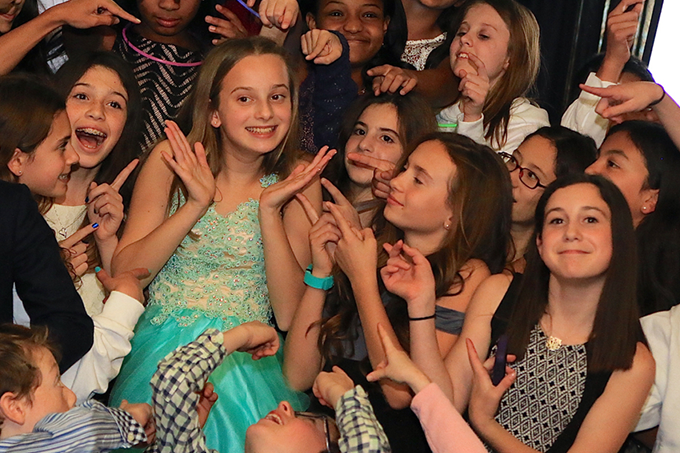 She is available and can be supplied for every imaginable type of party: Private, Corporate, Holiday, Birthday, Wedding, Surprise, Bar Mitzvah, Bat Mitzvah, Halloween, and the list goes on. K-Wow, will wow your crowd and keep everyone involved - even Grandparents. 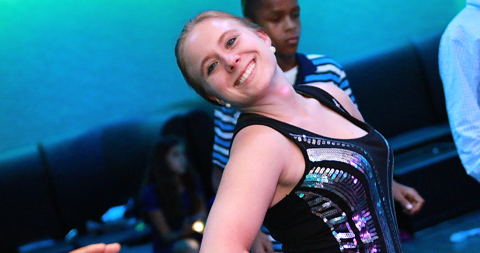 Ashley is one of our most requested dancers. 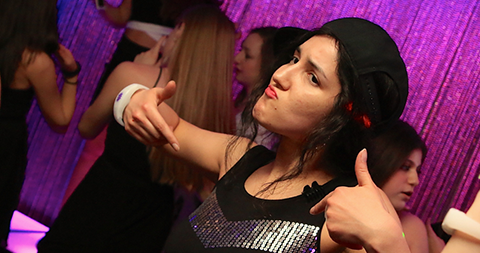 Her bubbly personality and pure energy will electrify your dance floor. 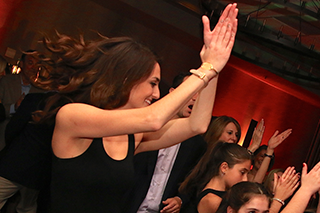 She is truly non-stop - dancing and partying all night long. 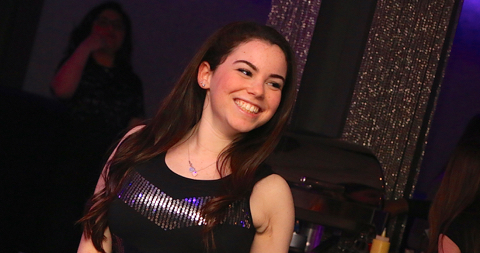 She is one of our top dancers here and a memeber of our owner's personal Mitzvah team. Ashley is a great addition to any party. 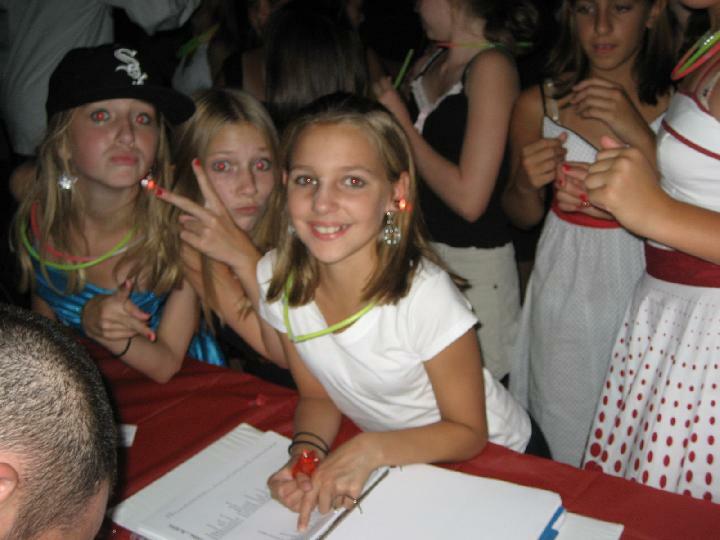 Haley would be a great addition to any event. 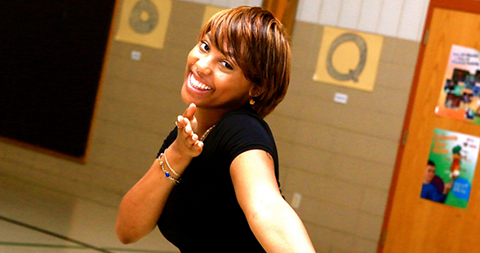 She boasts backgrounds in cheer and competitive cheer, as well as a constant positive outlook on life. Her smile and outgoing personality will light up any room. Haley is super fun and outgoing. 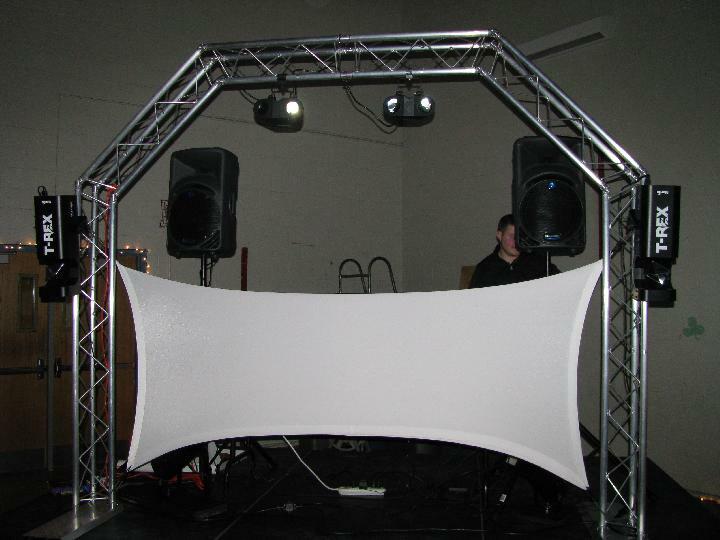 A perfect fit for Bar and Bat Mitzvahs. 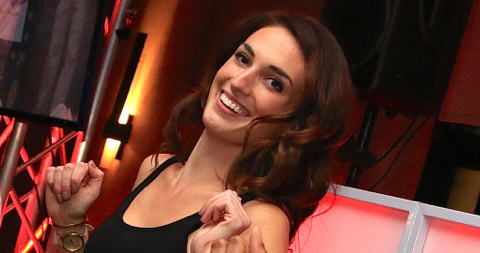 Shayna is one of our most technical dancers, and a member of a NFL dance team. 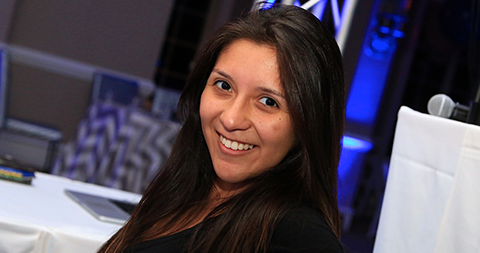 Her passion for dance and fun loving personality will light up any event. She is available for all parties, and brings excitement to any function. 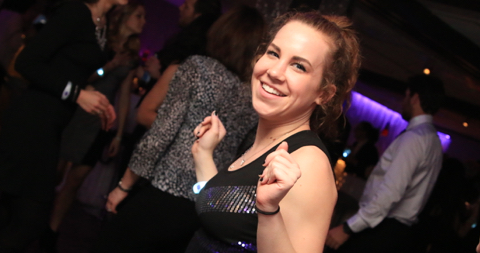 Shayna can light up a dance floor and engage your guests, keeping everyone dancing and having fun all night long. 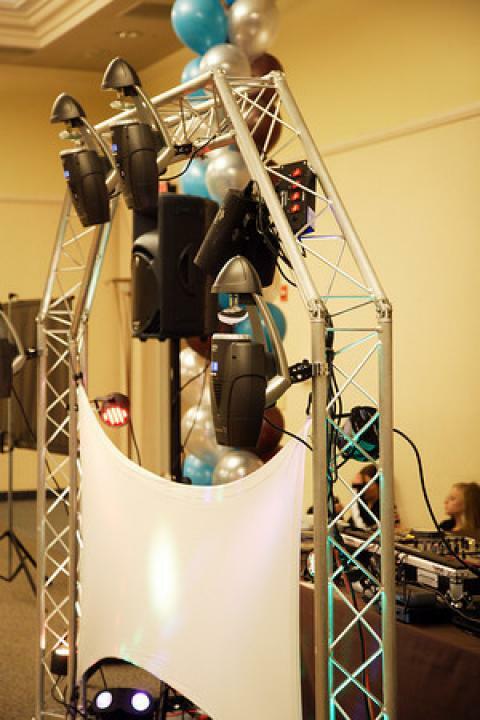 Mollie is a fantastic choice for all events. Pure energy when she hits the dance floor. Kids and adults both love her and her fun loving personality. She would be a great addition to any event. 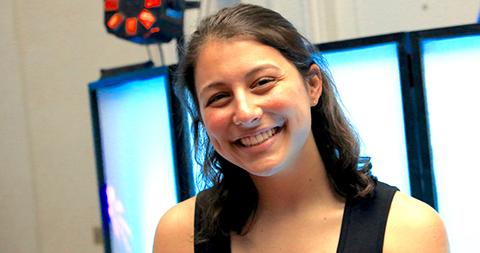 Kappy is a fantastic member of our team. Fun, outgoing, and energetic are some of her strongest qualities. She loves every type of party, and is constantly full of energy. 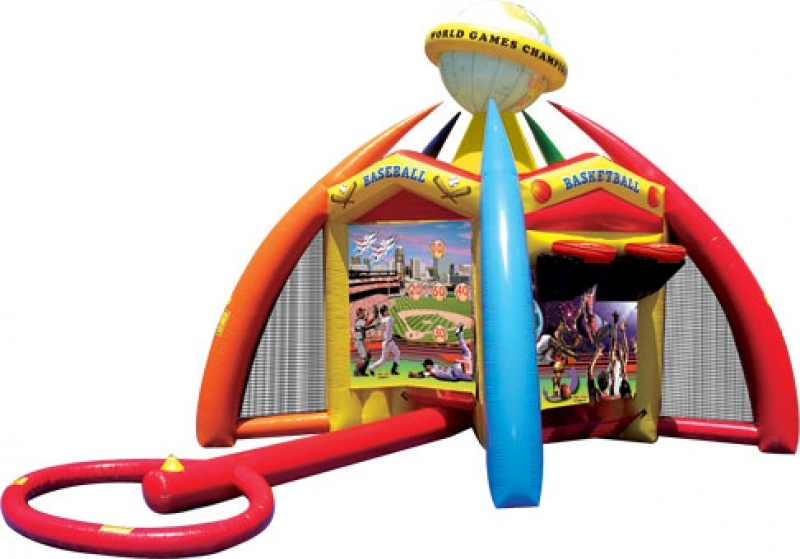 She would be a great addition to any event, but works best with kids ages 2 through 15. Kori is now available for all events, and is super engaging and fun. She cheered for a popular football team, and has now joined our amazing teams. Kori is full of energy and simply an amazing overall person. You and your guests will truly love Kori. 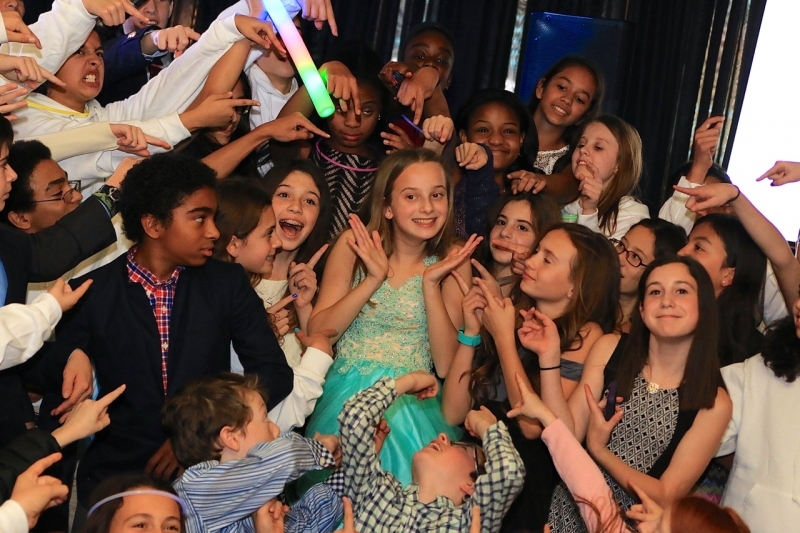 Emily would be a great addition to any event. She possesses a love of dance, and combined with her high energy she is truly unique and amazing..
Naz is always smiling and always ready to party. 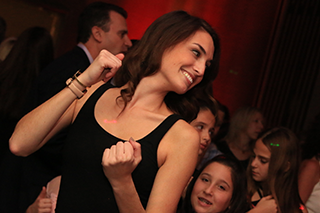 Her love of parties and dance make her a great addition to any event. 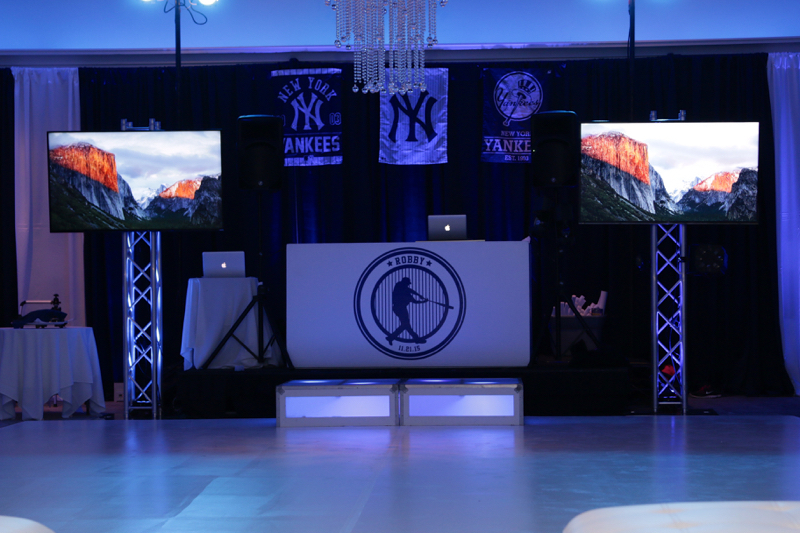 Adding Naz to your event simply adds style, and excitement. Full of energy and full of smiles. She's constantly moving at an event keeping all guests involved. Great with adults and kids, Rahadia is a fantastic addition to any event. Full of energy and full of fun. a fantastic addition to any party. 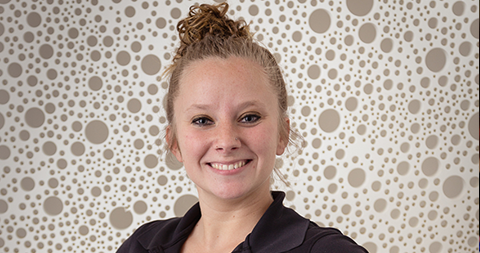 Jordan has an extensive background in dance, loves parties, and loves rocking to the beat. 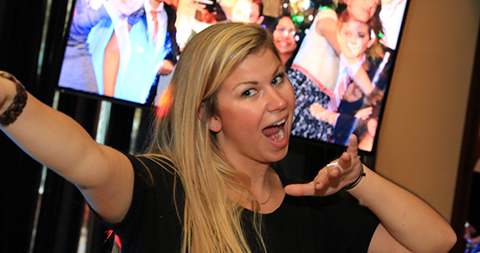 Jordan is a very popular party motivator here, and can be added to any event. Ashley is an amazing overall person. 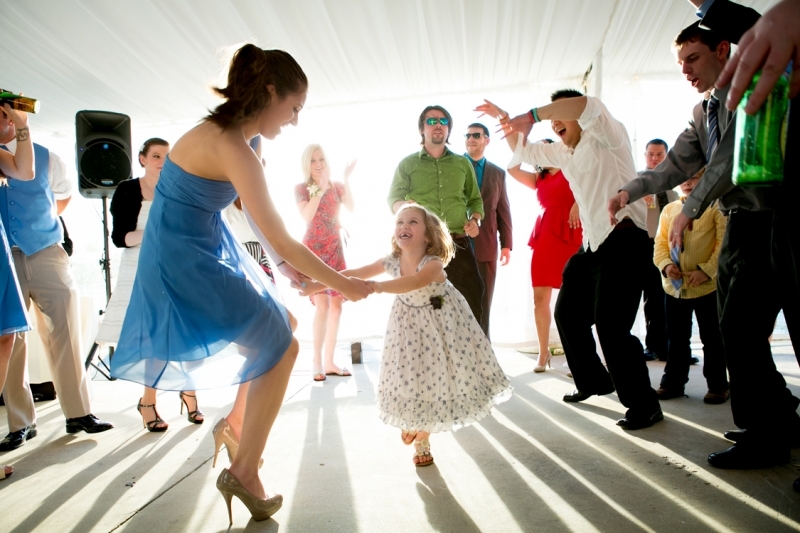 She can energize a dance floor with ease, and forms instant bonds with kids of all ages. 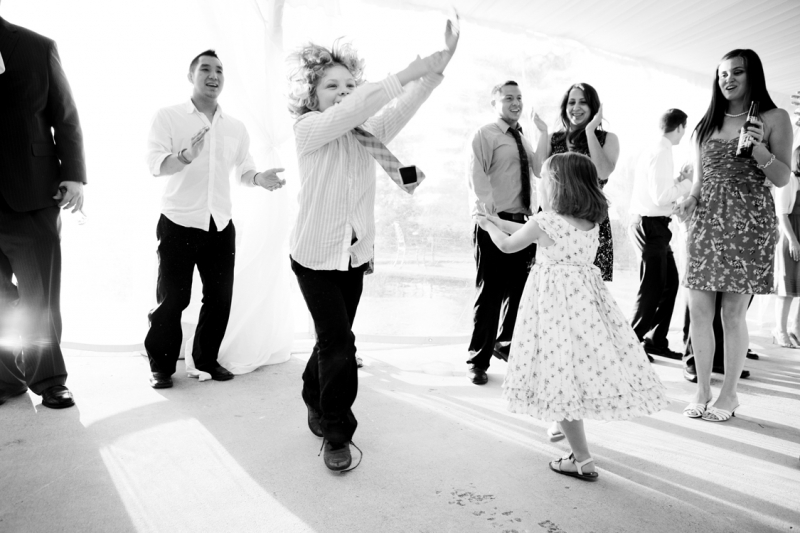 It's no doubt that she has an extensive background in both kids, and dance. 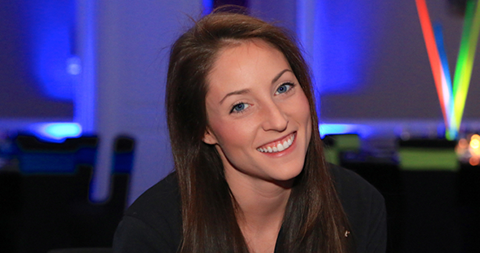 Her personality and demeanor will instantly impact the dance floor, and guests will have a fantastic time with Ashley. She specializes really in all types of parties, but loves the interaction with kids most. Morgan boasts a bit of a pop style dance aspect. Awesome with kids and fun loving. 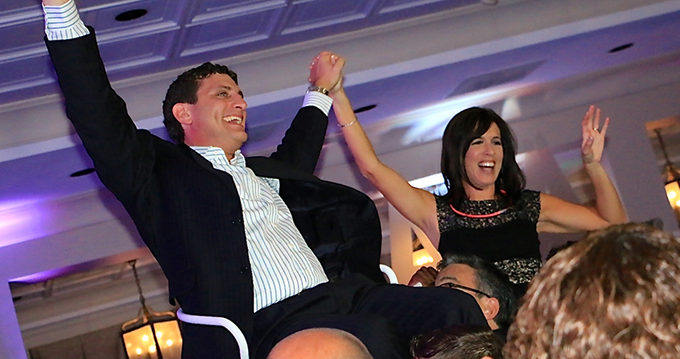 A great addition to any Mitzvah. She is fun, outgoing, and really stands out with her style. Sam is a ball of energy. She never gets tired, lol. 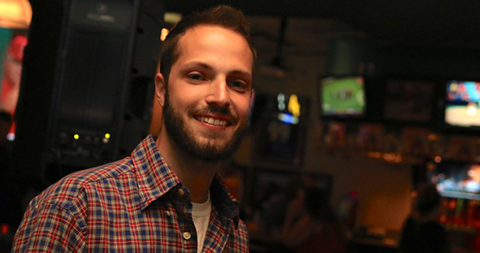 Sam is very involved and outgoing, and quick to help with anything a party needs. Adriana is a fantastic choice for any party. An amazing overall person and it shows. Kids and adults absolutely love her. 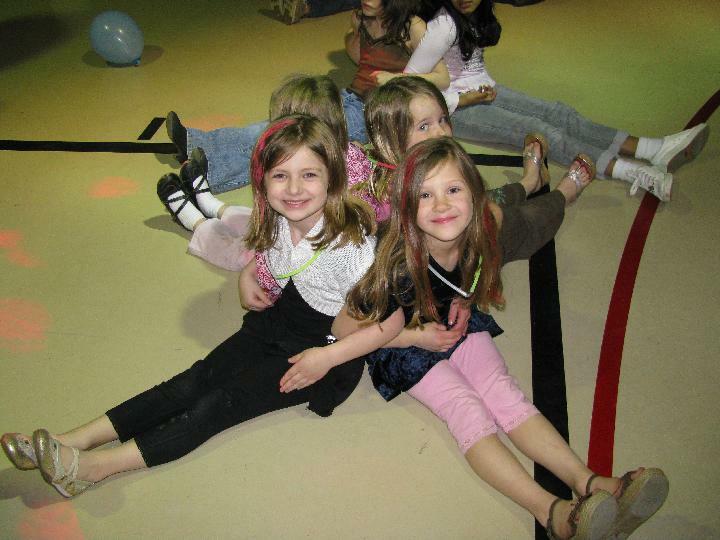 She is always smiling and bouncing all over the dance floor. She is also a cheerleader for a major league sporting team. 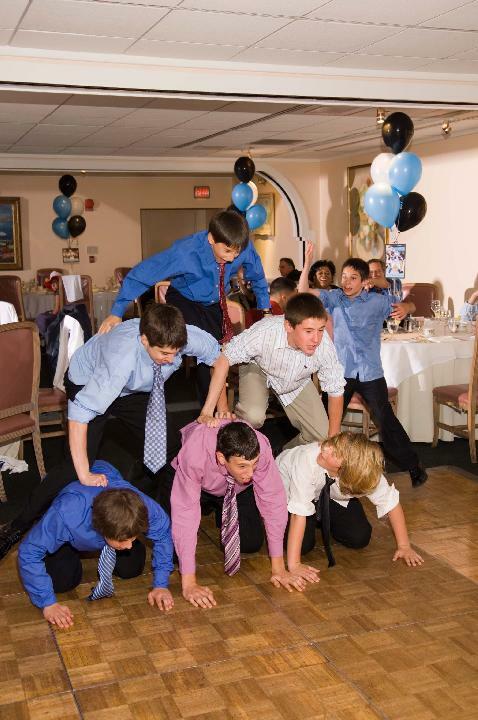 We have entertainers specializing in Bar/Bat Mitzvahs. All of our staff have extensive backgrounds working with kids, as well as teens, and are fantastic with adult interaction. 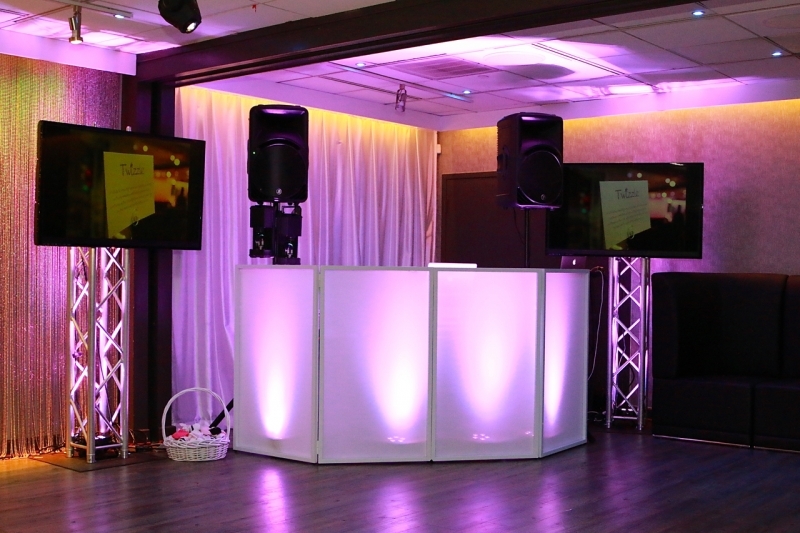 Whether you are having a small family event, or a larger scale club style party, we are here to help every step of the way. 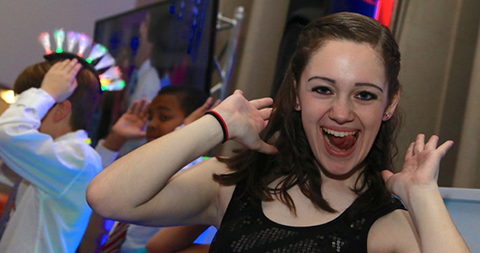 Now it is time for one of the biggest moments in your son or daughter's life, their Bar/Bat Mitzvah. 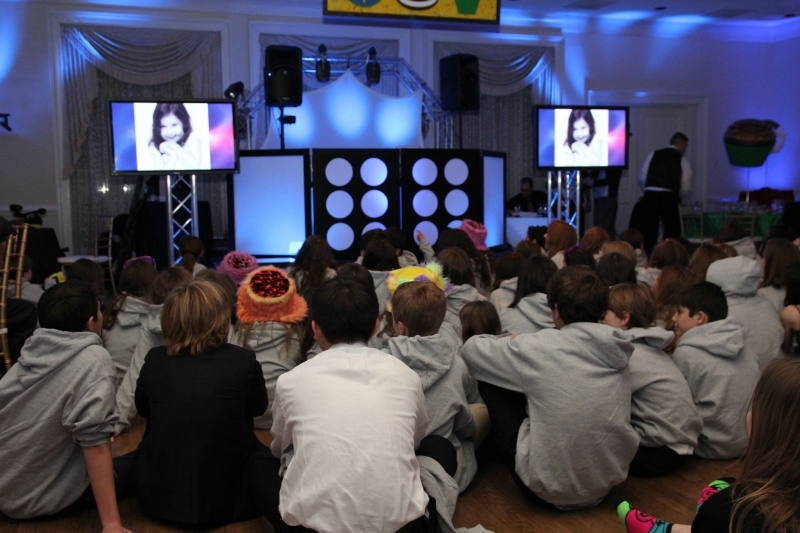 At Unique Dreams, we have worked with many families to successfully provide entertainment for their Simcha. 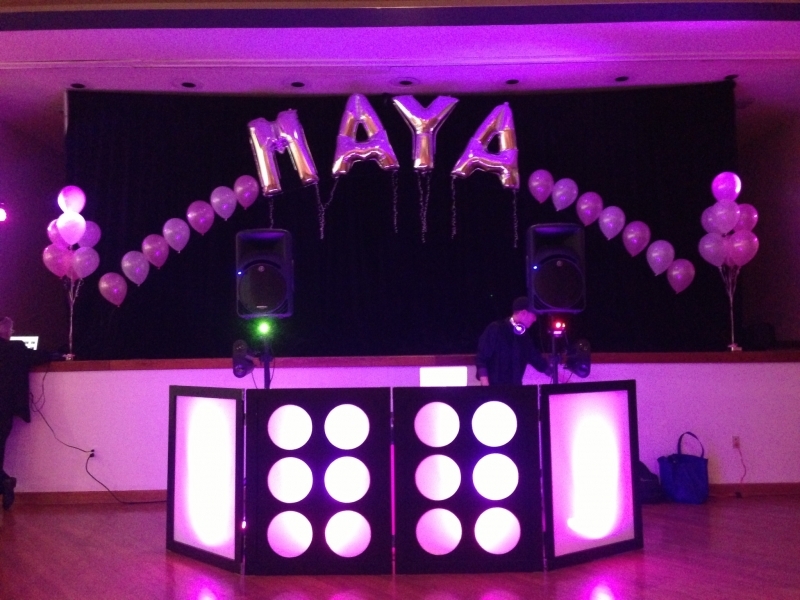 Our entertainment professionals are knowledgeable and experienced in every type of event, especially Bar/Bat Mitzvahs. 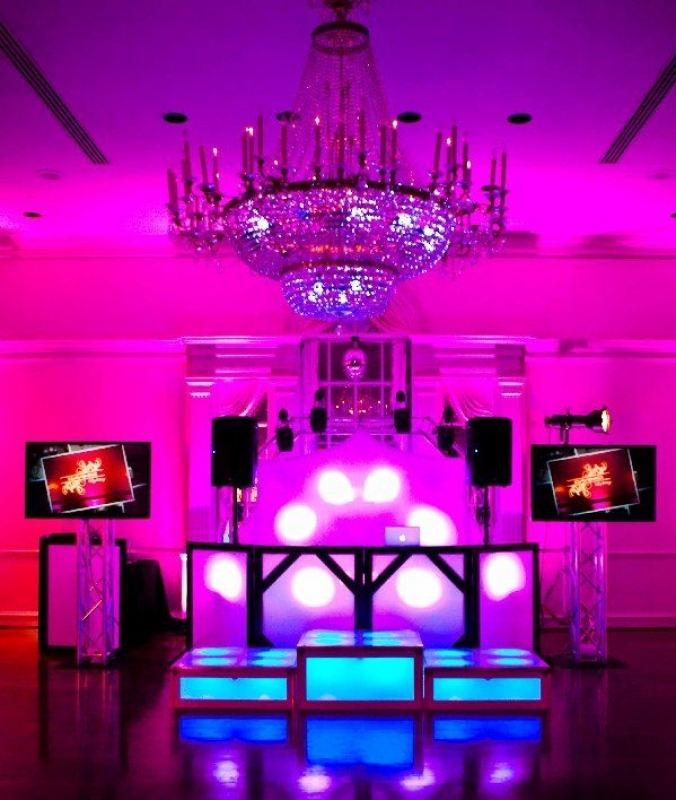 We work together, with you, your requests and ideas, guiding us to the perfect party together. 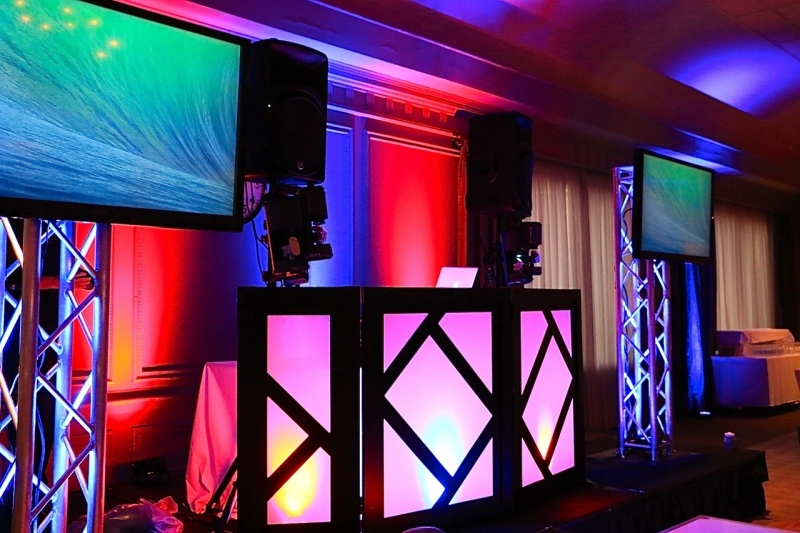 Our sound systems consist of top of the line, professional disc jockey equipment to ensure the best possible sound and volume to suit any event in any location you choose. 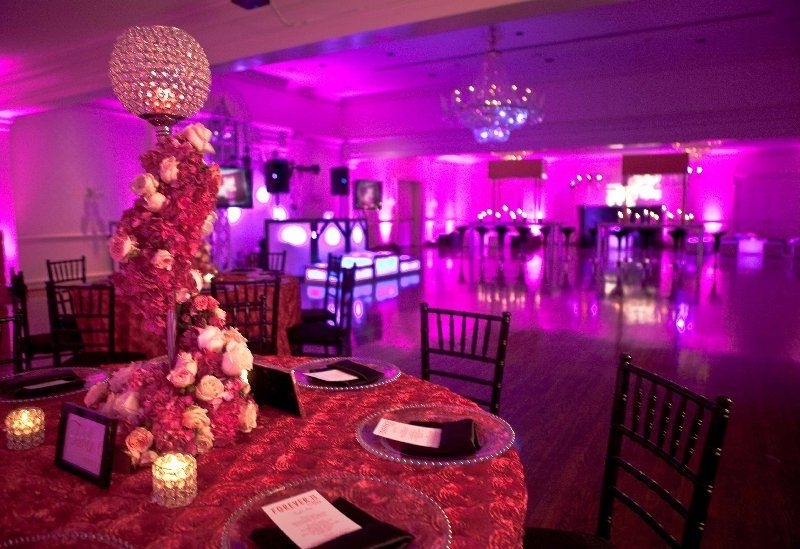 This allows us to provide a party atmosphere with excitement and class that stands out above the rest. 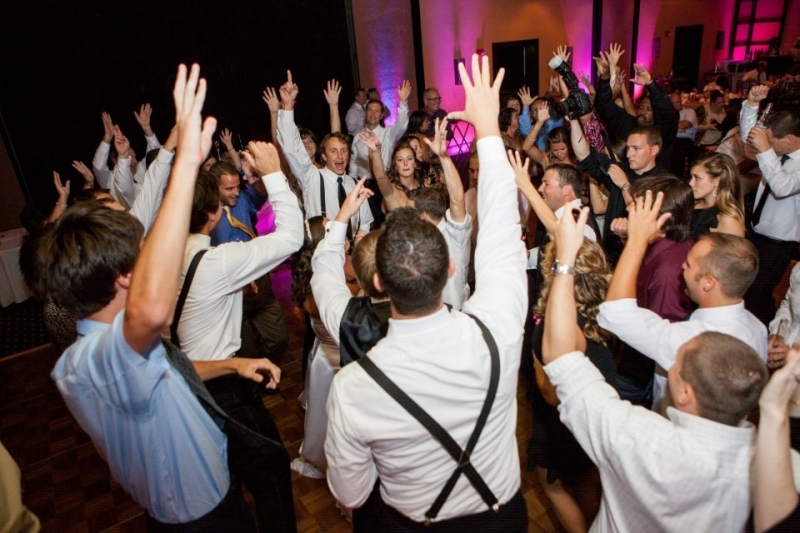 At Unique Dreams, our Disc Jockey's excel based on their extreme dedication to and appreciation for, every wedding they handle. They are at the top of the industry and it shows in their work. 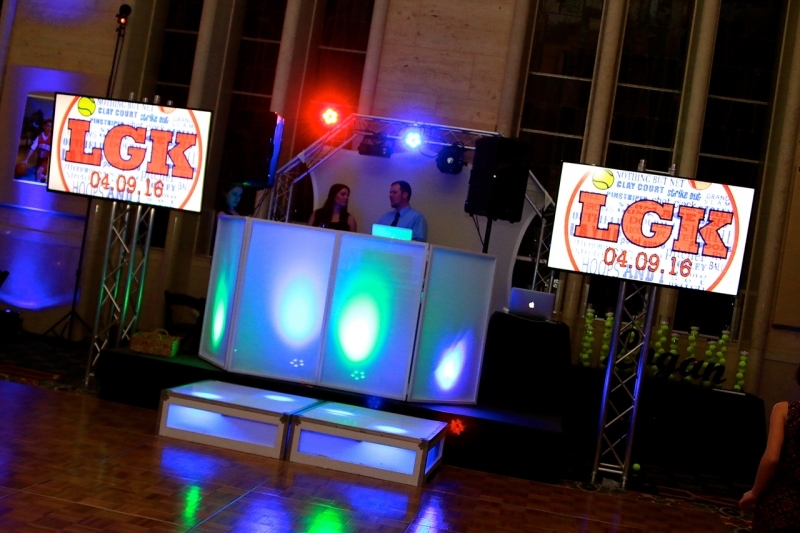 Our DJs are committed to making sure that every event is a complete success. 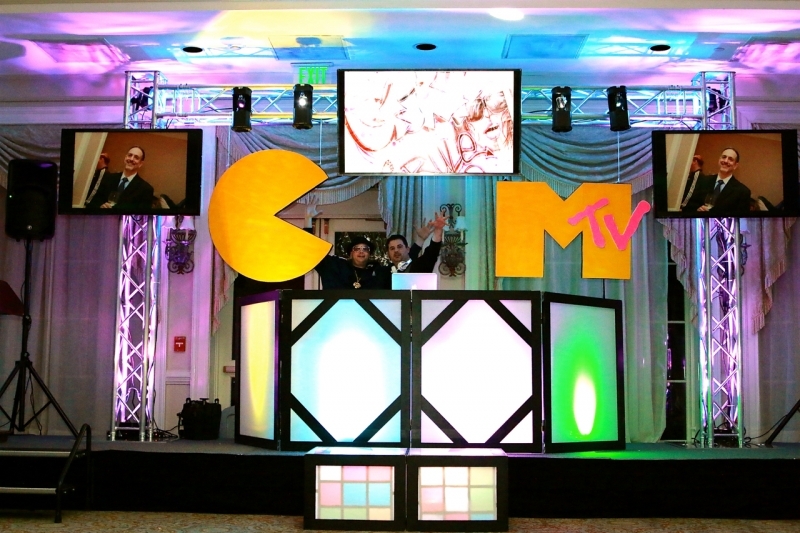 The Disc Jockey you choose will work with you through every step of the planning process in order to guarantee that the entertainment at your reception is perfect and reflects your tastes. This includes music selections and even the level of interaction. 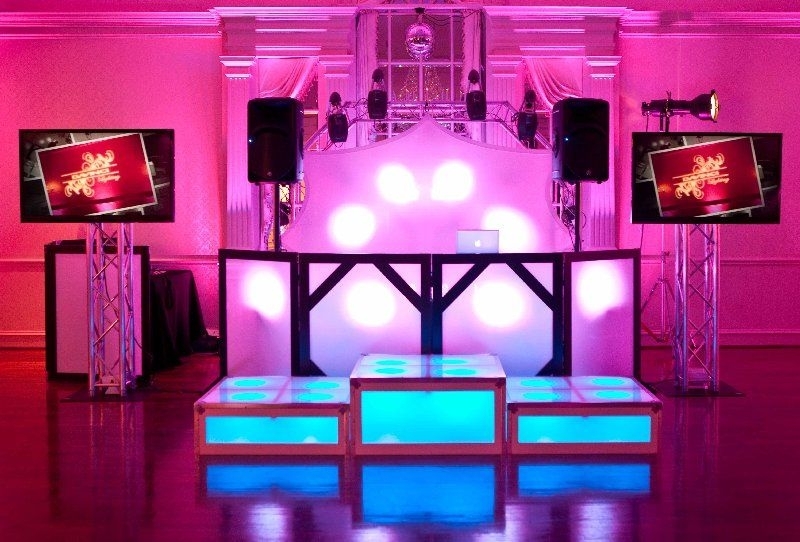 You will choose whether you want your DJ to be classy and conservative, high energy, or something in-between. 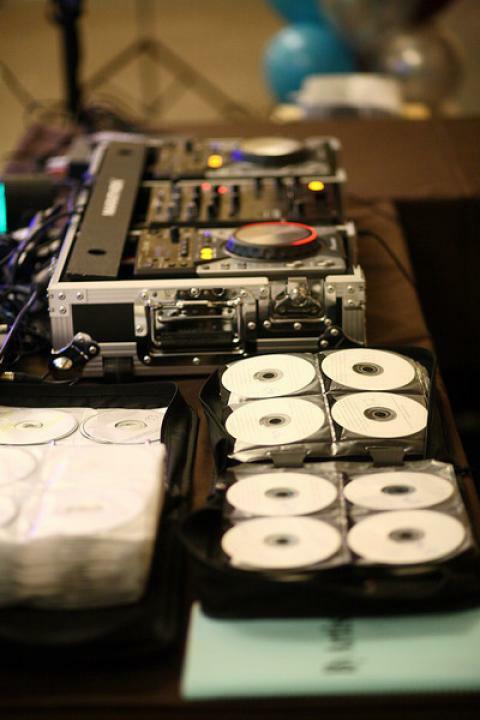 Your Disc Jockey will do much more than just play music. 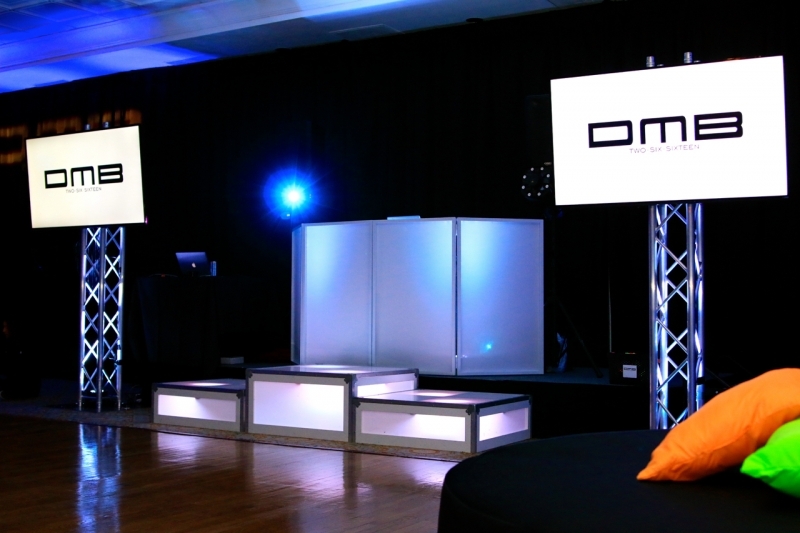 Unique Dreams DJs will also help coordinate your reception as well as act as your MC. There are numerous last minute details that need to be addressed during a reception, and it takes a true professional with years of experience to keep everything organized. We will work hard to be on top of anything that can possibly go wrong so you can focus on actually enjoying the event you have been looking forward to your entire life. 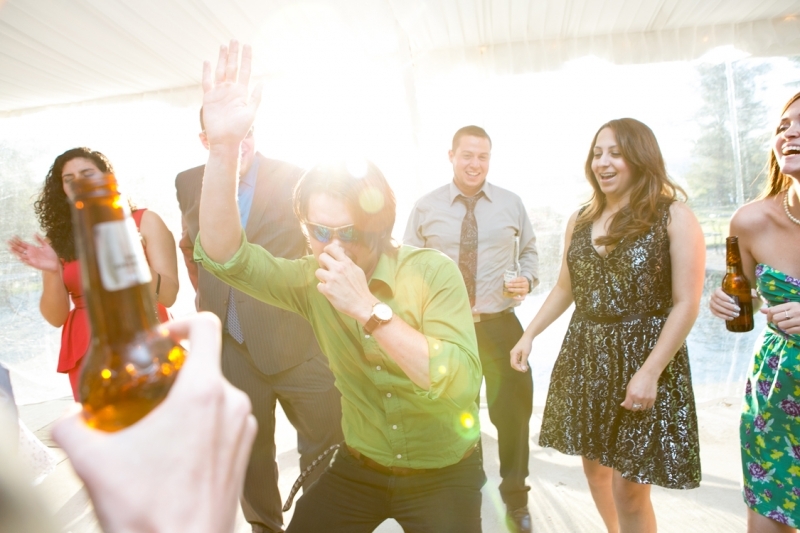 Your Wedding Reception is probably the most important party you will ever plan. 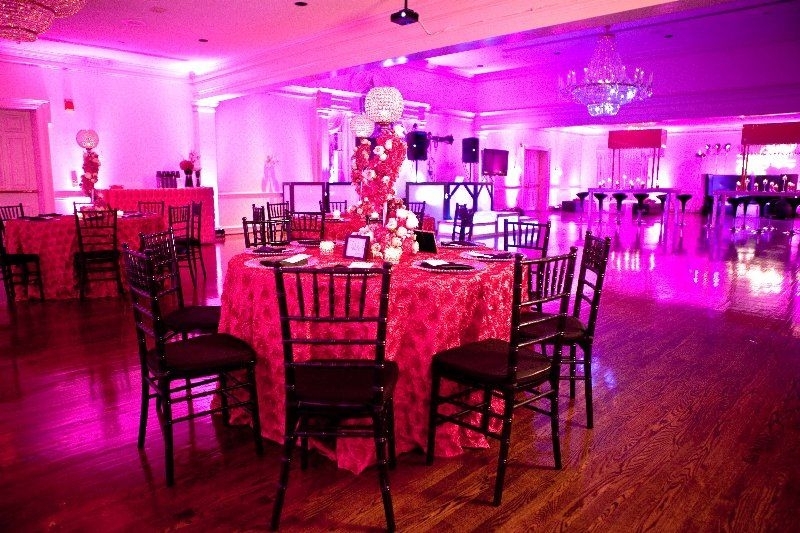 The location, food, cake, flowers, entertainment, photographer, limo service, etc. is what you will spend most of your time and budget on. 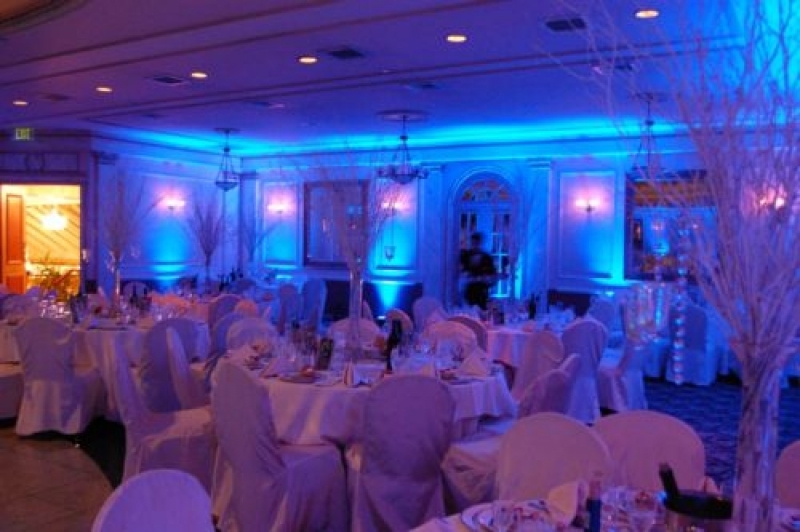 But in reality, the entertainment is what will determine the overall success of your reception. 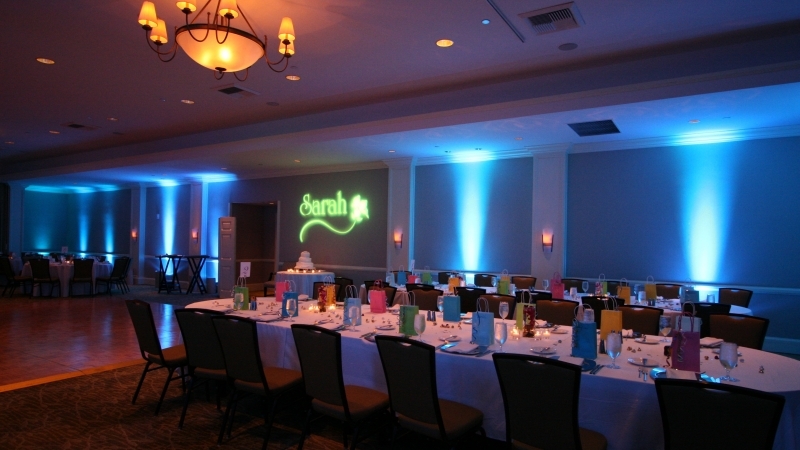 Let our talented staff work with you to customize and create a truly memorable, unique, and overall fun wedding. 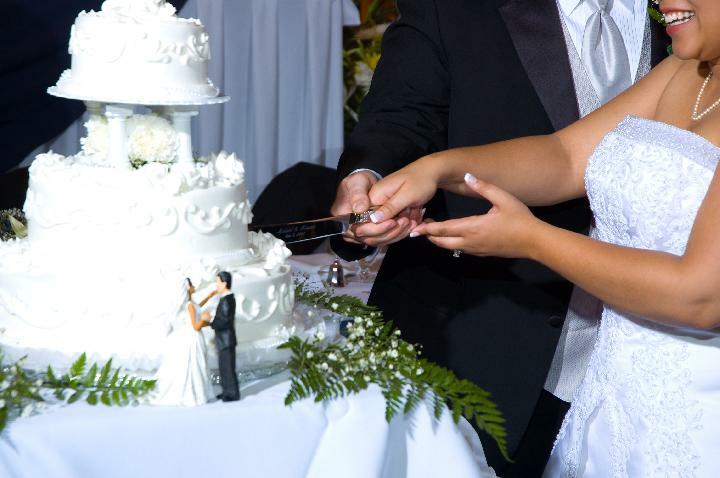 When you book our services, you will be sent our Reception Planning Package, which includes our Reception Information Sheet, Bridal Party Information Sheet, and a Music Information Sheet for you to list your requests. 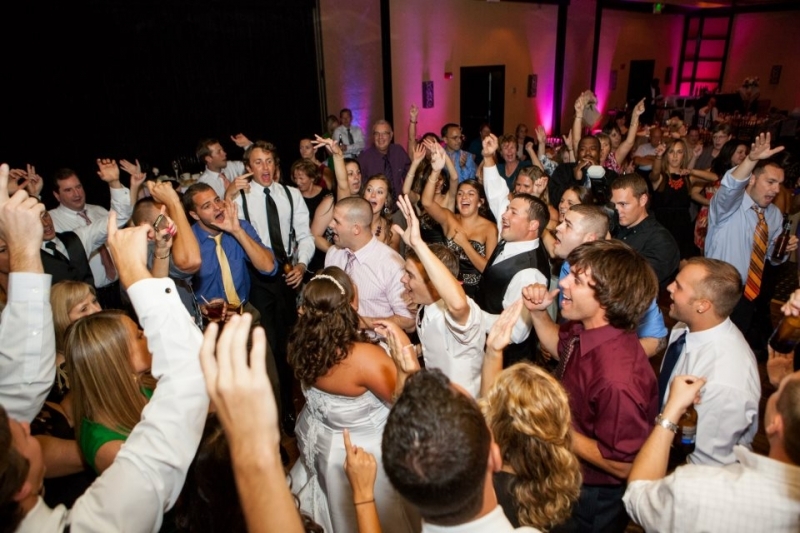 This enables you to select your first dance, bridal party dance, and answer various other questions which allows you to coordinate the traditional wedding activities at your reception. You may also use our website song database to search our extensive library for your favorite songs. 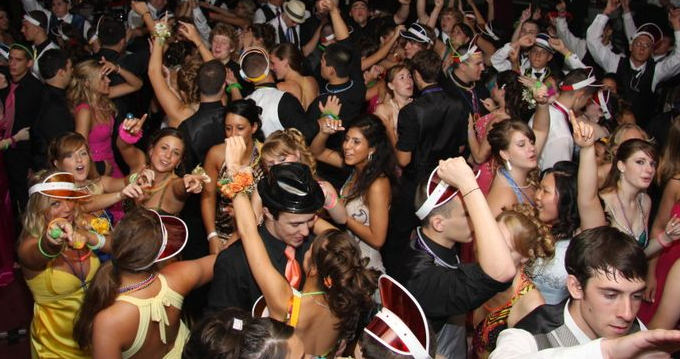 Having a High School Dance,Prom or Homecoming. Unique Dreams is the perfect company for you. 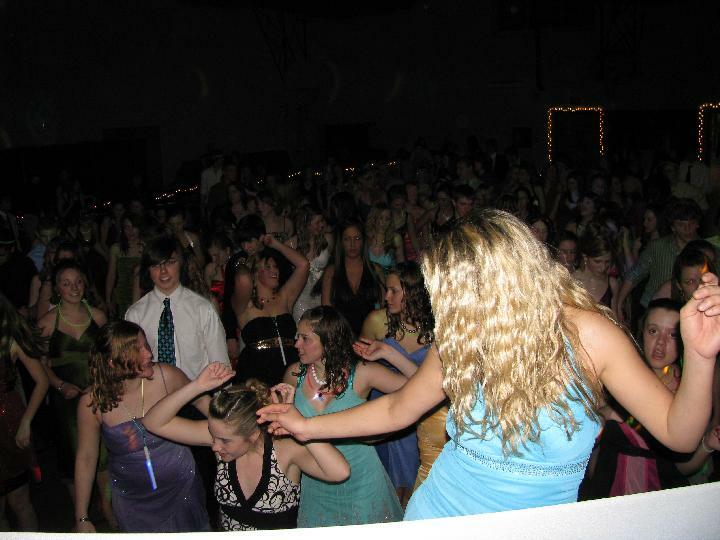 We have a select group of Deejays that provide entertainment to all of our High School functions. All are in there mid 20's, so they are young enough to interact with the kids and know what they want to hear, at the same time, they are old enough to know what music is appropriate and which is not. The music today is very diverse so, of course it's always hard to please everyone. Every school is different, so we take steps to interact with the kids before the party to ensure what is expected of us. 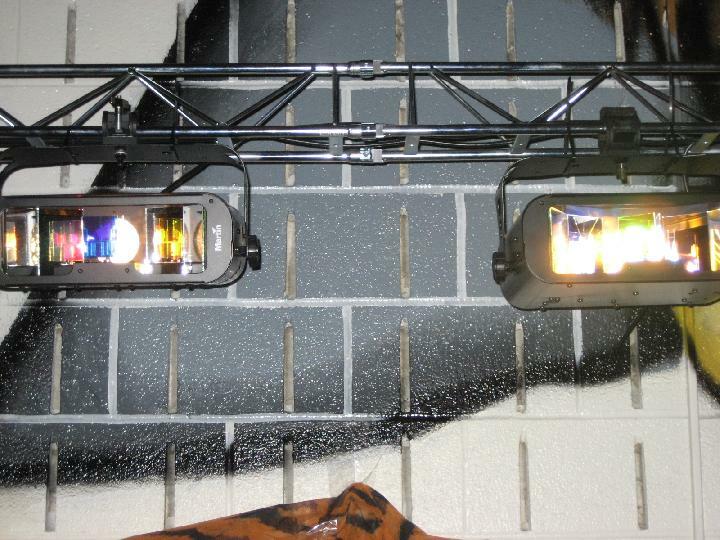 We will set up a time and day to meet with the schools dance committee, SGA, or Teacher representitive to go over music selections, announcements, lighting, (games or contests if needed) and any other ideas we may have to ensure everyone walks away from the dance happy. We believe we are the only company that offers this free of charge. 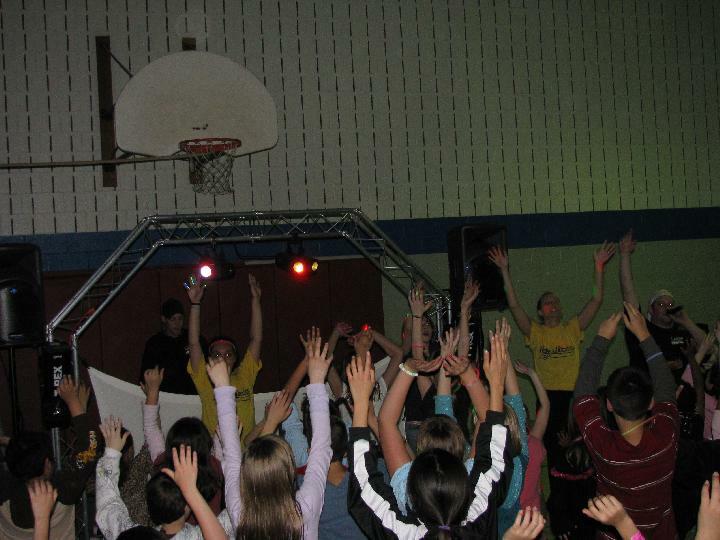 Looking for the BEST Deejay to interact with kids? You found them!! 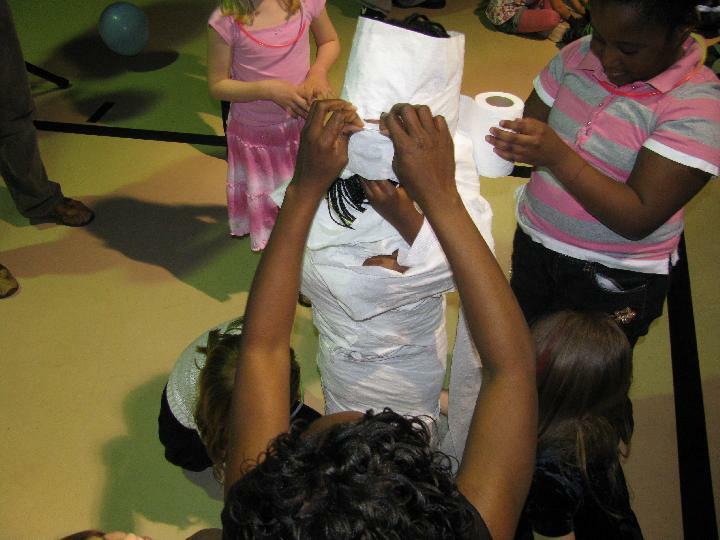 Kids parties are our specialty. 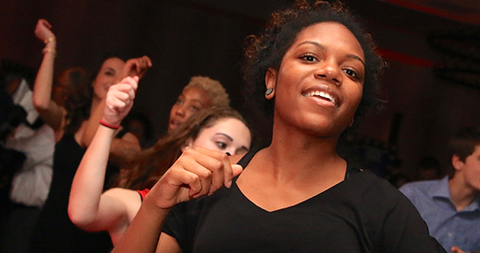 Our Deejays are High Energy and able to motivate and move the crowd. 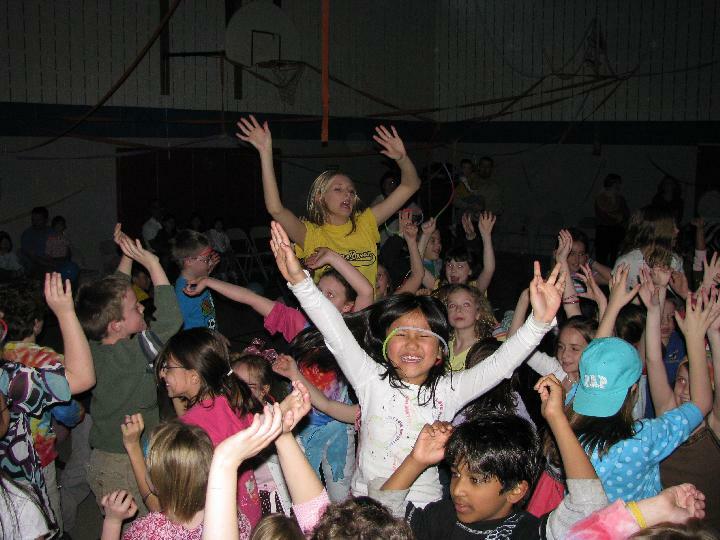 Whether it's a Family Fun Night, Soc Hop or a Middle School dance we have appropriate music, games, and contests for kids of all ages. 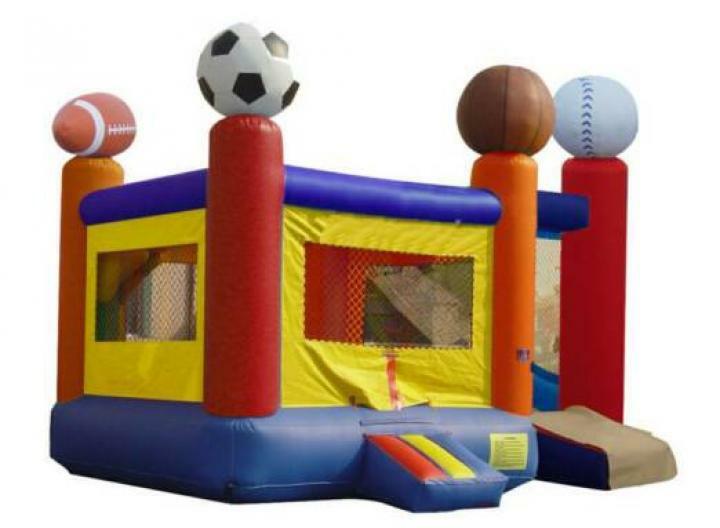 We also have great ideas for prizes and theme parties for all events. Please contact us to find out more!!! 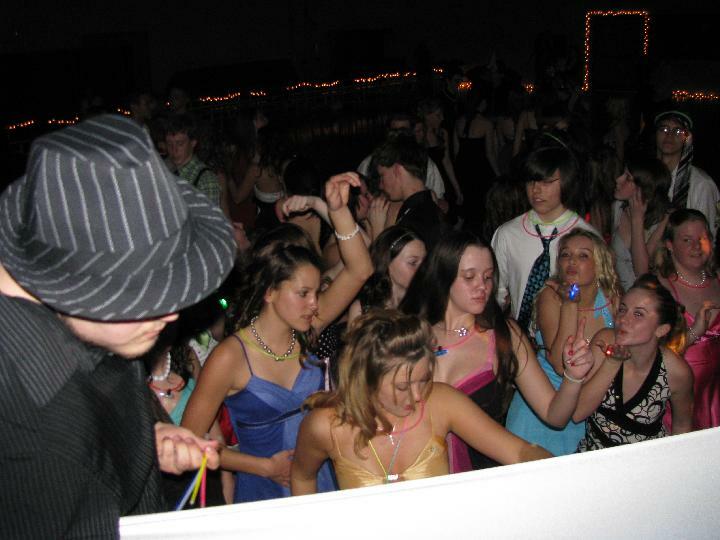 A major concern for most schools and kid parties is music. We feel appropriate music is very important with young children. All of our music is radio edits, but some songs even edited are not appropriate for young children. 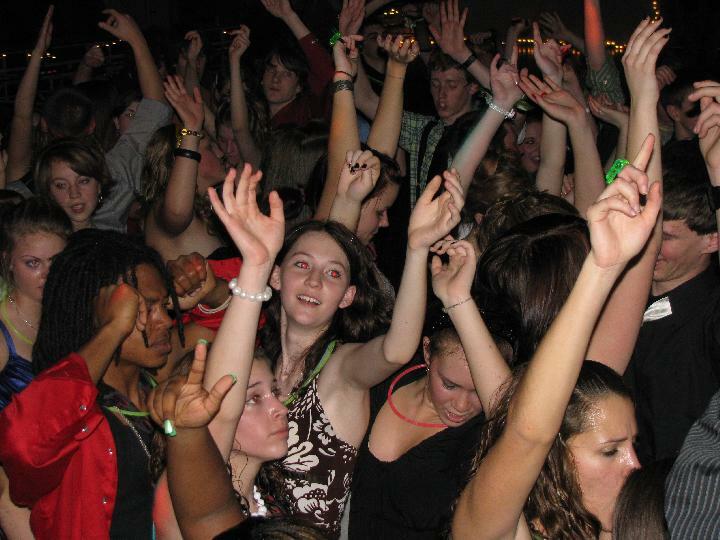 We use our professional judgment at every venue to ensure appropriate music and content for your children, and will NOT play songs we deem inappropriate. 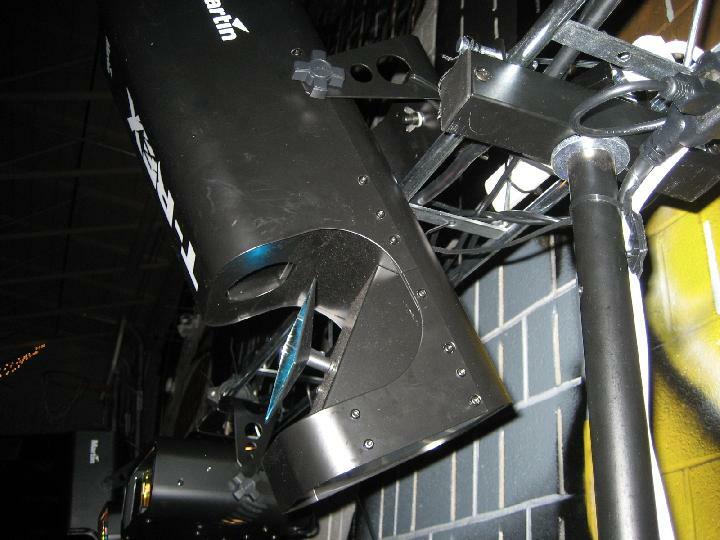 At Unique Dreams we pride ourselves on giving our clients and their guests the best experience possible. 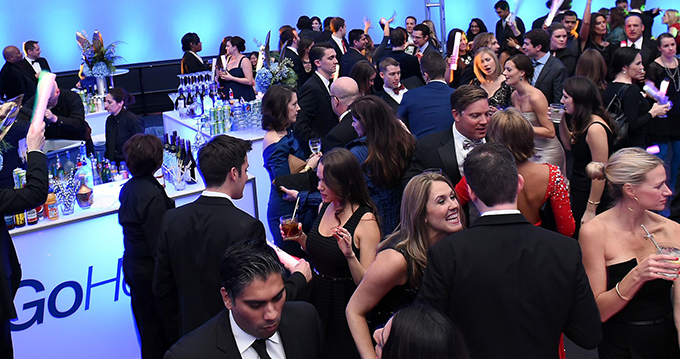 Whether you are planning a holiday party, company party, corporate dinner, sales or staff meeting, our corporate events organizer will handle your event planning and make it one of your most treasured memories. 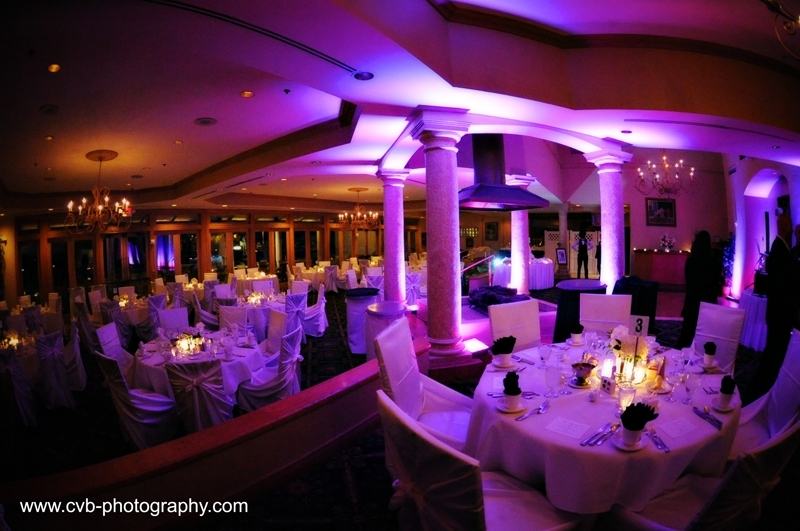 We will also help plan your entire event with photography, entertainment, décor and anything else your special event may need. 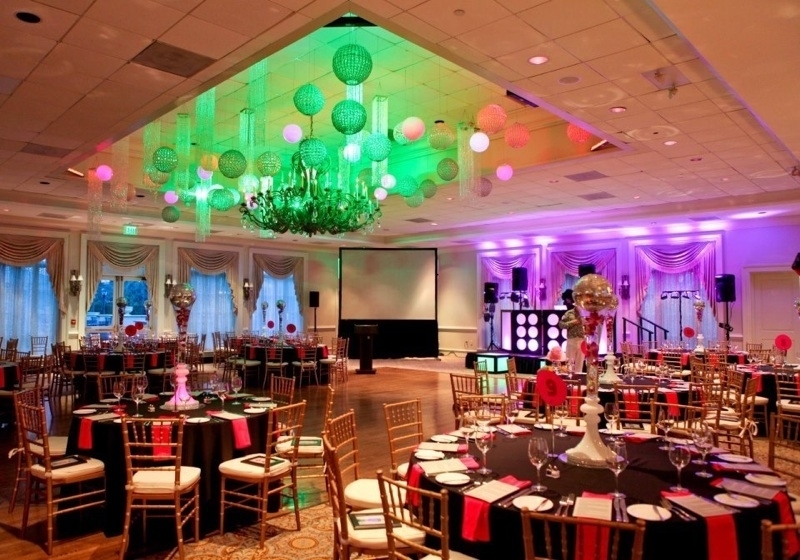 Let Unique Dreams take the stress out of planning your event. Where else can you get the kind of attention you deserve? We have now teamed up with local organizations to be able to provide team building days and weekends. The challenge and retreat venues we deal with allow your staff or group learn how to overcome obstacles through communication and cooperation. 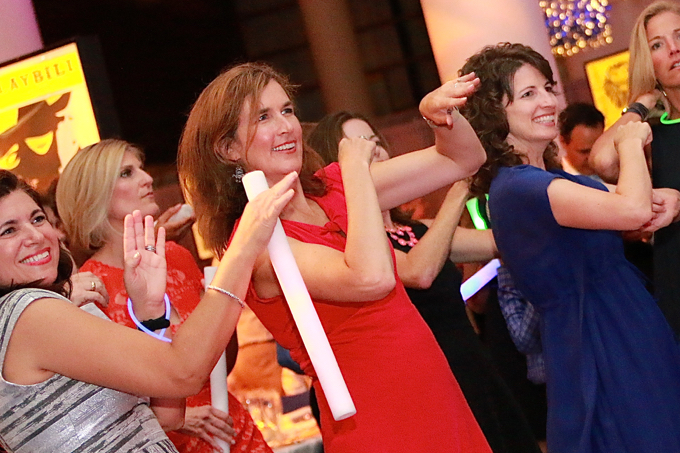 If your team needs a day to refocus and have fun, we're the best there is. 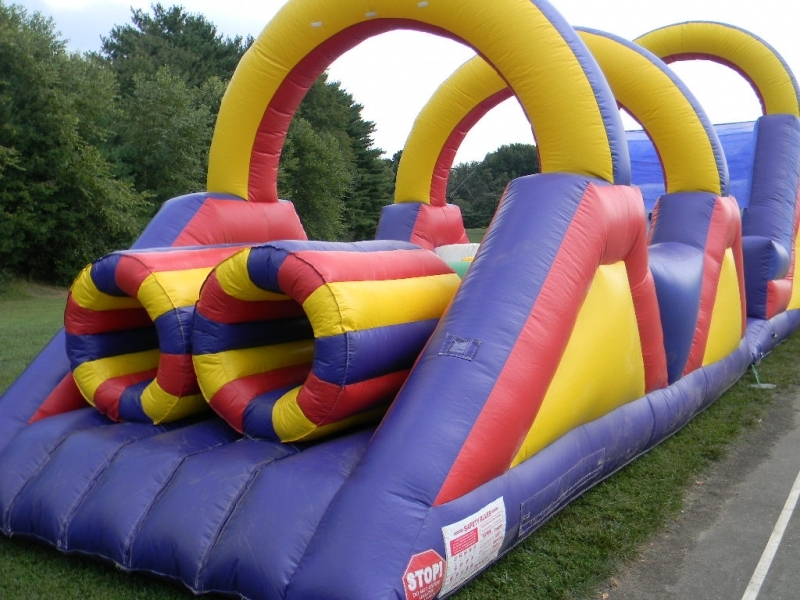 Moon Bounces are fun for every event. 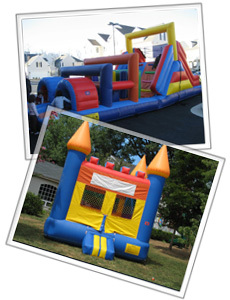 They offer hours of enjoyment for kids of all ages. We currently have four to choose from. 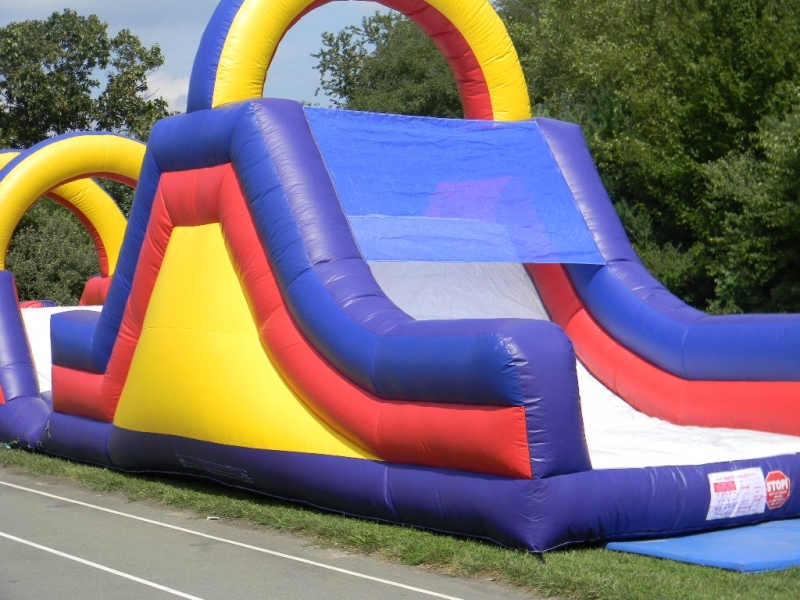 Our Giant Slide, The Dragon Bounce, The Castle, and The Jungle Bus. 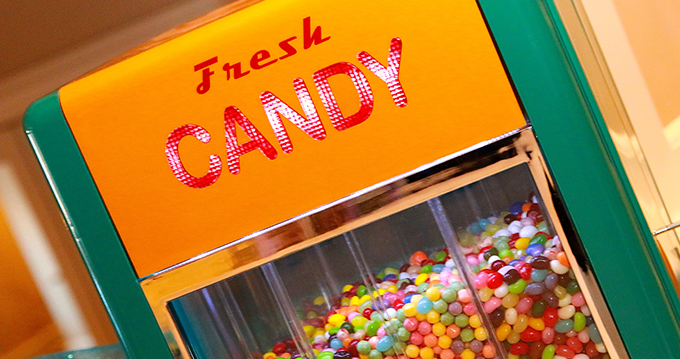 Concessions are great for every party, and a special treat for the kids. 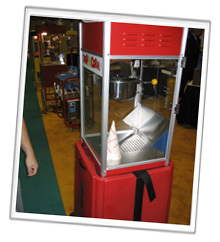 We currently offer choices of Cotton Candy, Popcorn, and Sno Cones. 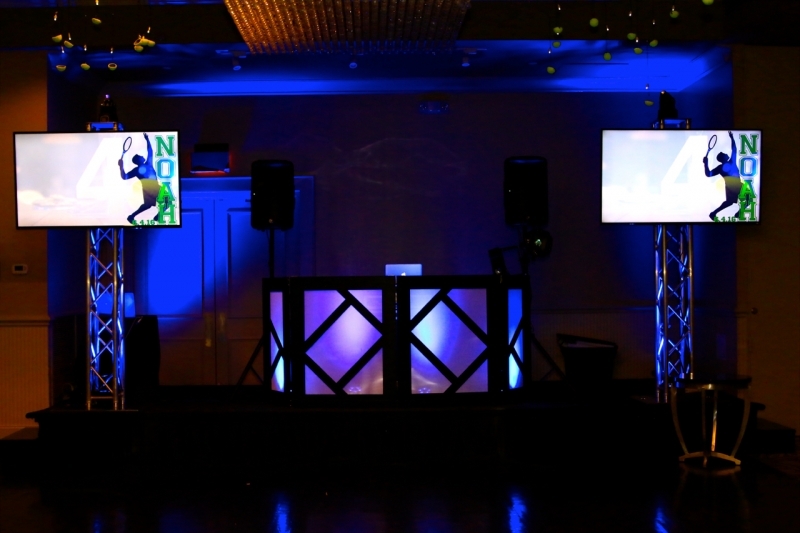 With video projection our Deejays use music video's instead of CD's. 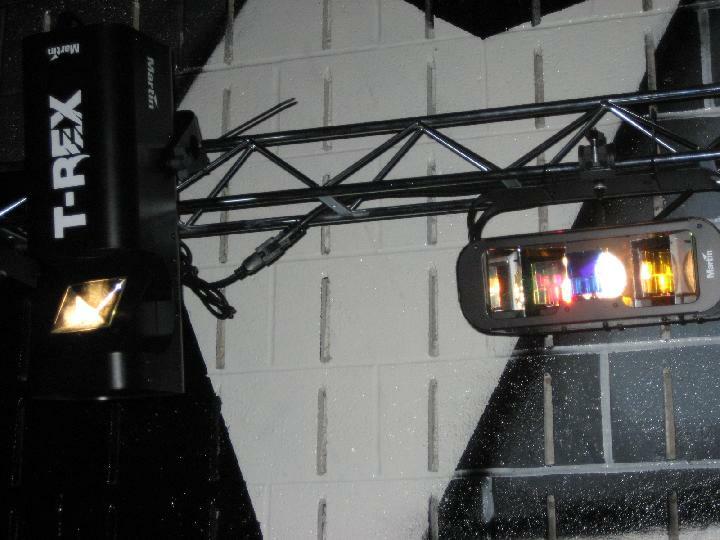 We project the video's on movie screens, so you can dance and watch the video at the same time. 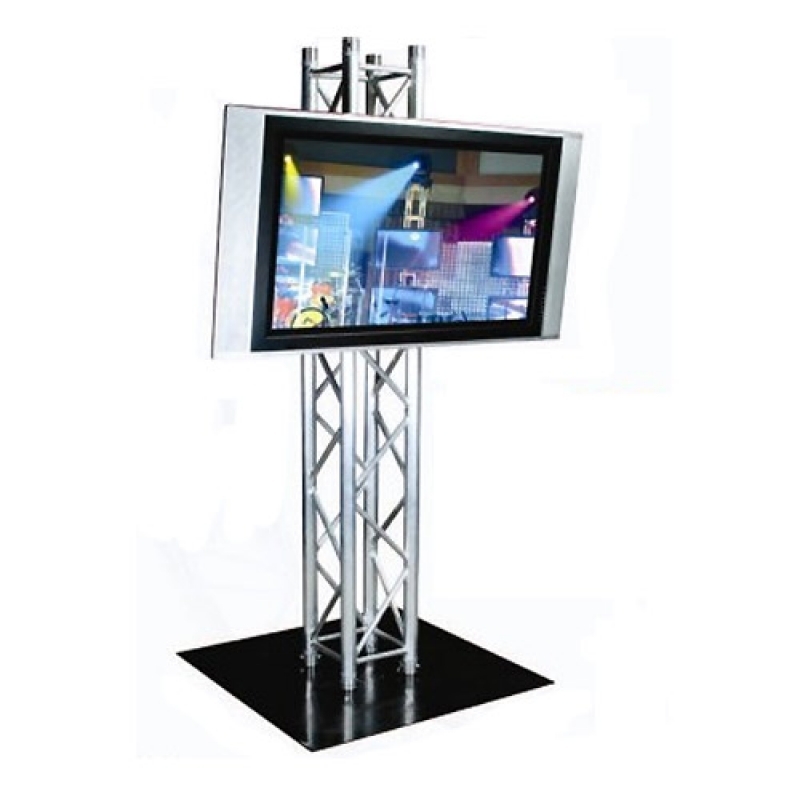 If a video is not available we will use a CD version instead, but be ready to smile, we will be video taping your party and showing it on the big screen in between music videos. It's always fun to see yourself on T.V. Get ready for the beautiful summer nights. Video projection is also a fun idea for Pool Parties. We call it a dive, or drive in movie. Our Dive In Movie Night, starts usually at 7pm. Kids bring your rafts. 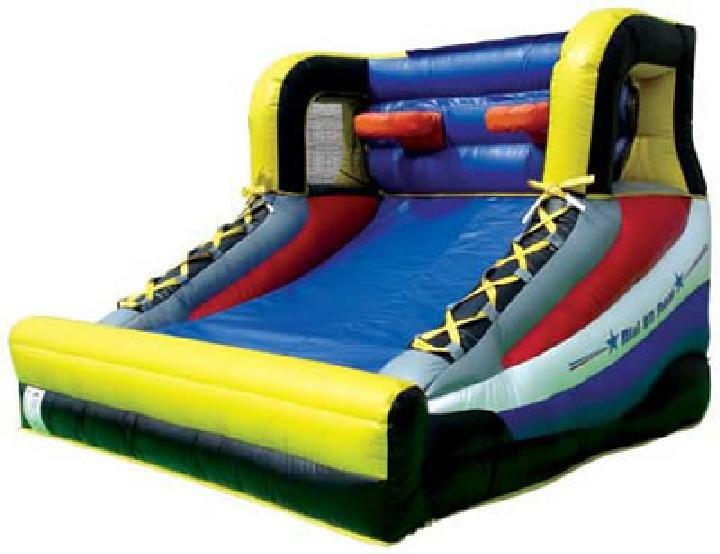 We will have various pool games including relay races as well as great music and dances. When it gets dark enough to view the movie, the kids pull their rafts up to the edge of the pool and float around while enjoying a movie such as Shark Tale. Our Drive in Movie nights have the same basic philosophy as our Dive in Nights. We party, and play games for about an hour or so, when it gets dark, the movie is shown in your driveway or back patio. The Drive in Nights are always loads of fun.